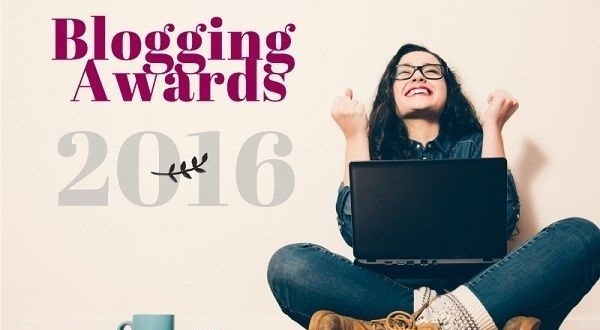 Top 5 Preemie Blogs 2016! 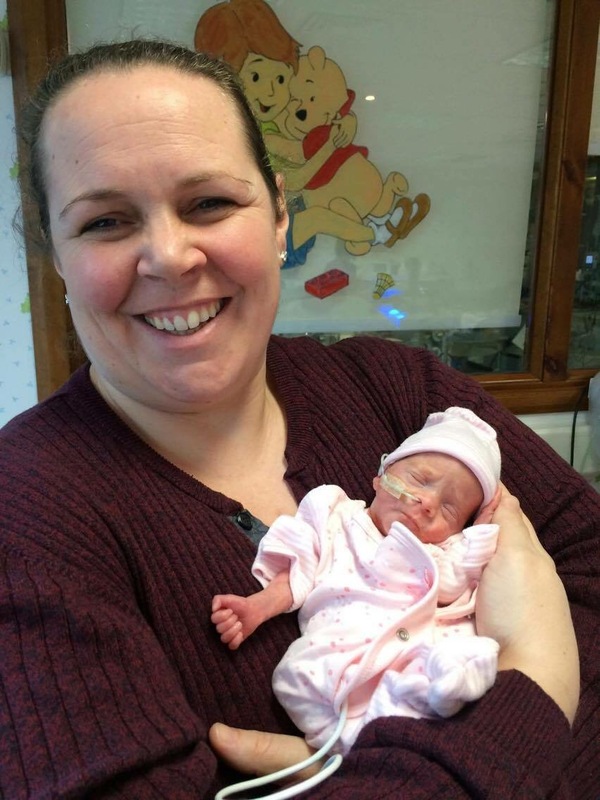 This year we’ve published blogs on just about all aspects of having a premature baby in neonatal intensive care – take a look at our most read blogs this year! 4. 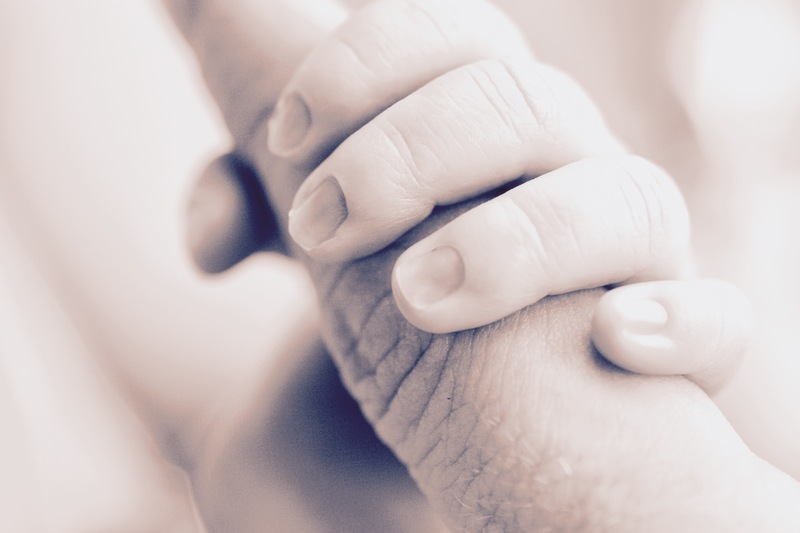 Why Don’t We Speak About Premature Birth? 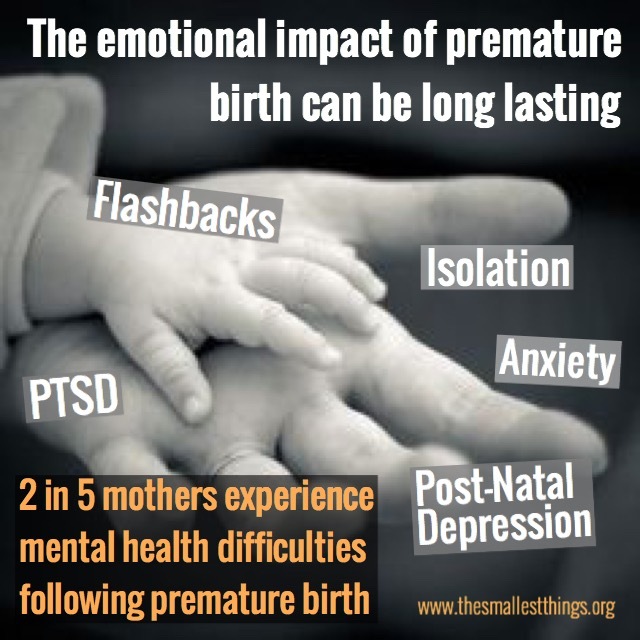 People often speak about the things they miss through premature birth and describe a sense of loss. I grieved for my final trimester for a long time after birth and for all that entailed. Like the posts you’ve read? Would like to help us raise awareness of premature birth and beyond? Then use the Facebook and Twitter buttons to SHARE! 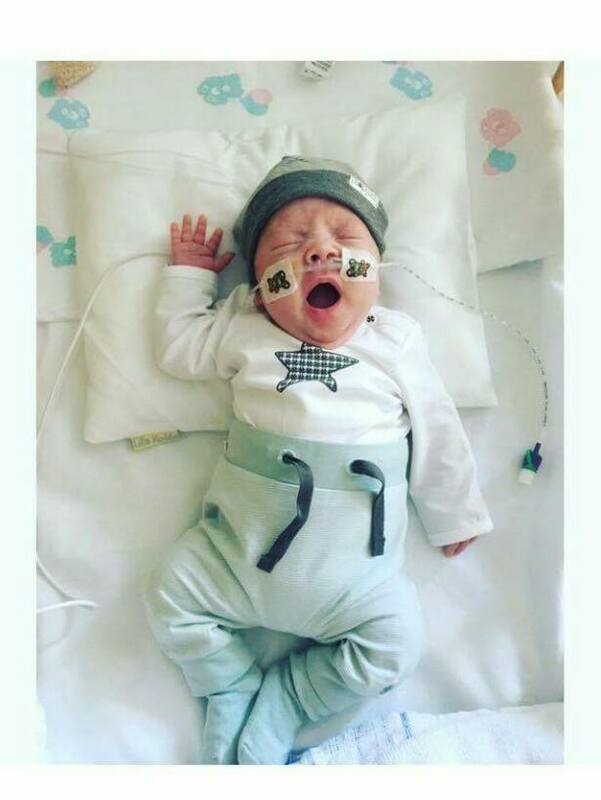 This entry was posted in Premature Baby and tagged Neonatal Intensive Care, premature baby; preemie on December 27, 2016 by Catriona Ogilvy. Christmas Day 2013 was pretty momentous for us. 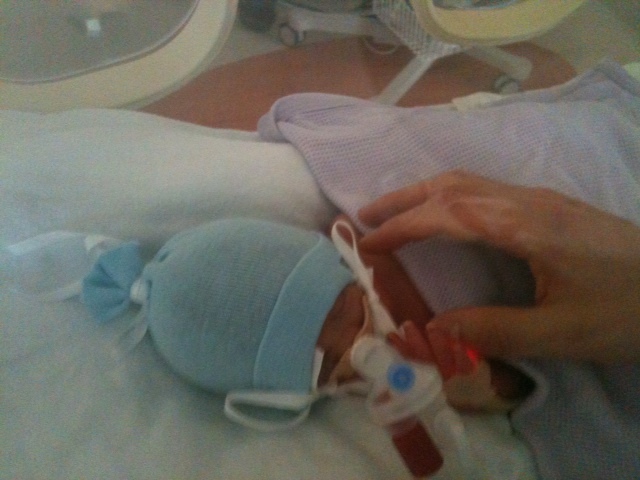 Our son Samuel was born at 2pm, 12 weeks early, weighing 2lbs 3oz. I was not expecting to be on an operating table delivering our son at the time most people are tucking into their Christmas dinner! The week before Christmas, at 27 weeks pregnant, I ended up in hospital after feeling unwell in the night with a sharp pain in my ribs. I had a general feeling of something being wrong. The doctors conducted tests and concluded it was preeclampsia. They told me it was a serious condition elevating blood pressure, requiring bed rest, restricting the babys growth, and that the only way to cure it was to deliver our baby. To cut a long story short, I was admitted to hospital indefinitely. On Christmas Eve I was transferred to another hospital where they had more specialist care and more beds available in the neonatal intensive care unit. And then on Christmas morning I was told that I was too sick to keep going. They had to perform an emergency c-section to save me and my baby. The most unforgettable moment for me was when they sent a pediatrician to tell us all about the risks the baby would face being born so prematurely. 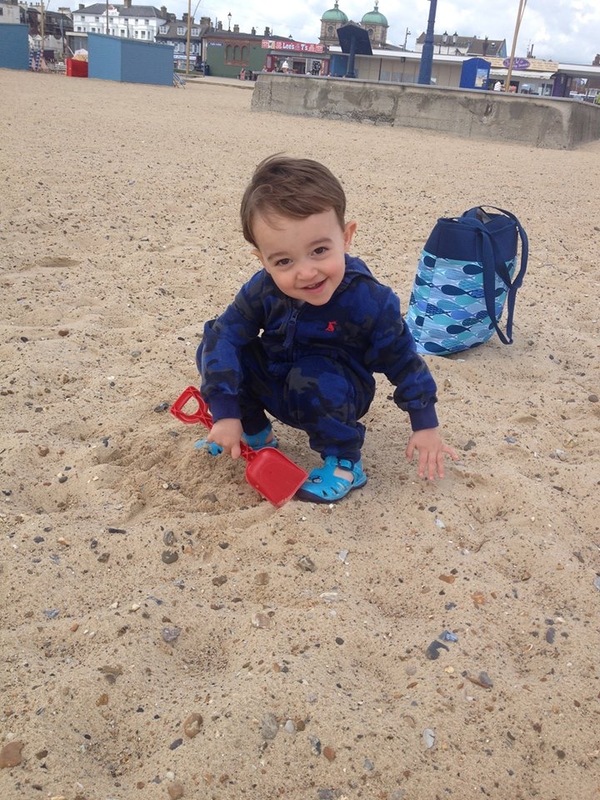 It felt as though he stood there for an age, listing condition after condition that we had never heard of, that could potentially kill our child. We had asked friends and family for prayers and believed that is what pulled us through! We briefly saw him being held up and making a little cry before he was rushed off to NNU. I didn’t even get to hold my baby. We were congratulated by everyone on our arrival, but I felt that this was inappropriate when we didn’t even know if our son would survive. Boxing day was the worst for me. The medication was wearing off and the reality was sinking in. A doctor came to take some bloods from him. It was the first time I heard my son cry properly. I couldn’t hold him and comfort him. I felt useless. I had a mental break that night after my family left. I was on the observation unit still, surrounded by new mums with their babies. There was one mother who refused to pick up and hold her crying baby. That broke me. 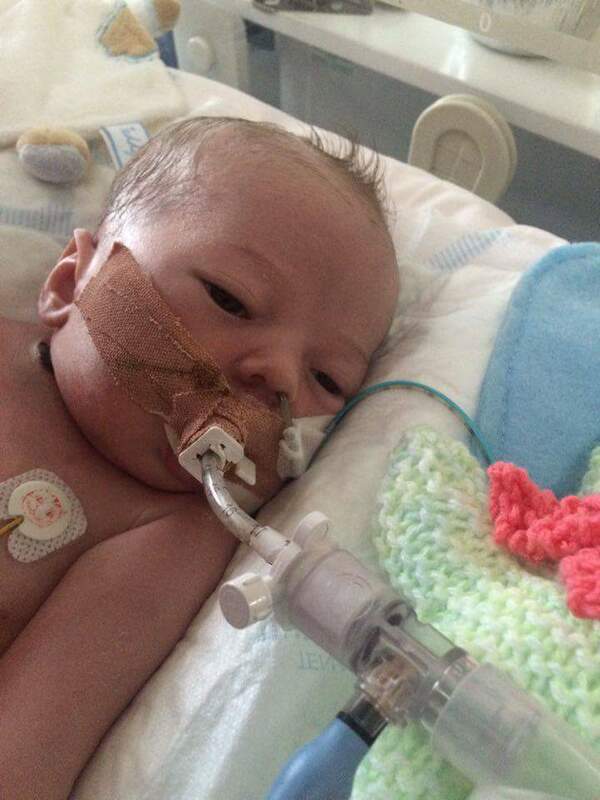 I would have given anything to hold my baby, but he was fighting for his life, in another ward. Samuel had a few more scares over the next few days. At one point they thought he had NEC because he didn’t produce a poo for a few days. I can honestly say I’ve never been more overjoyed to hear news of someone doing a poo! There was also talk of a blood transfusion, luckily he didn’t need that, and he was actually off his ventilator within 2 days, which was miraculous. I got to hold Samuel on New Years Eve. It was the most magical thing I have ever experienced. There aren’t words that can accurately describe the range of emotions I felt at that moment. 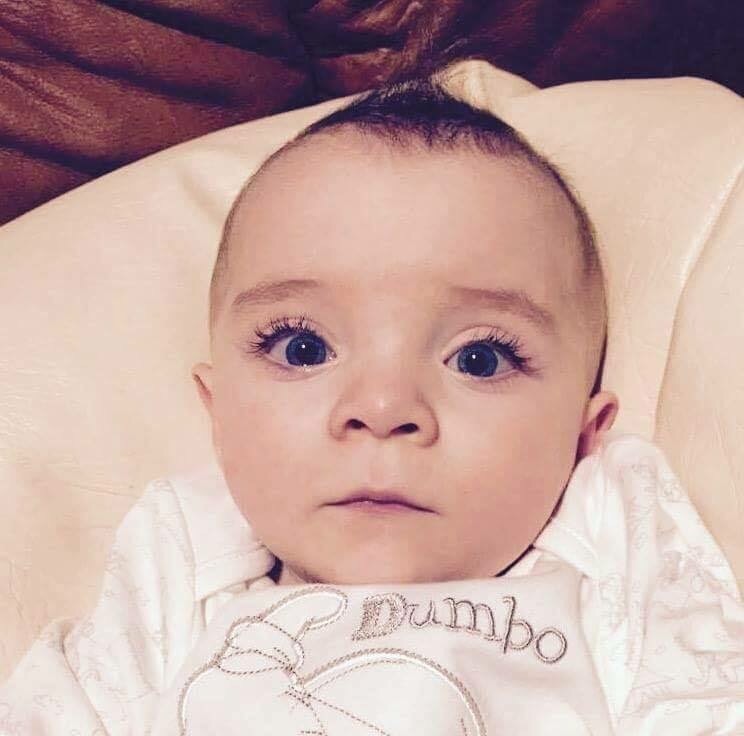 Eventually Samuel stabilised enough so that on the 6th January he was able to be transferred by ambulance to our local hospital. 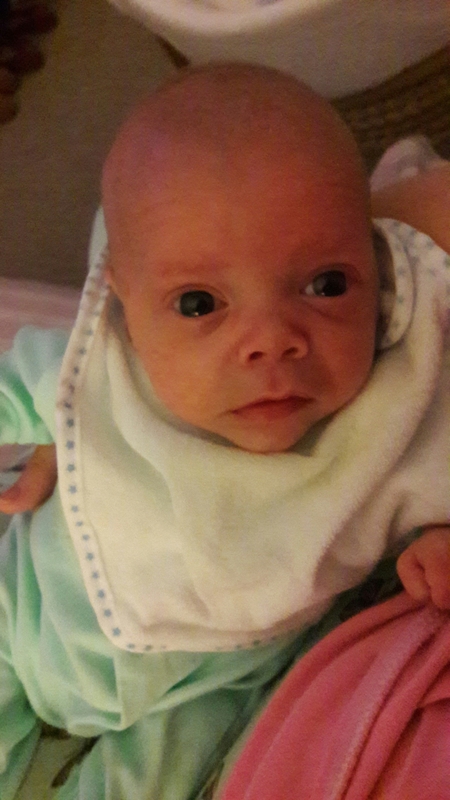 He had a few more scares with infections and breathing issues, but eventually he was able to come home a week before his due date on March 10th. Looking at my happy healthy (almost!) 3 year old now, I can hardly believe he came through all that. I am so proud of him and this experience has changed my life in many ways. I appreciate life so much more, I don’t take things for granted as much! We celebrate every milestone, and achievement no matter how small. I don’t know if we will have any more children in future because of the risks, but for now, I can say I am blessed and happy with my Christmas miracle. Christmas will never be the same for us again that’s for sure! 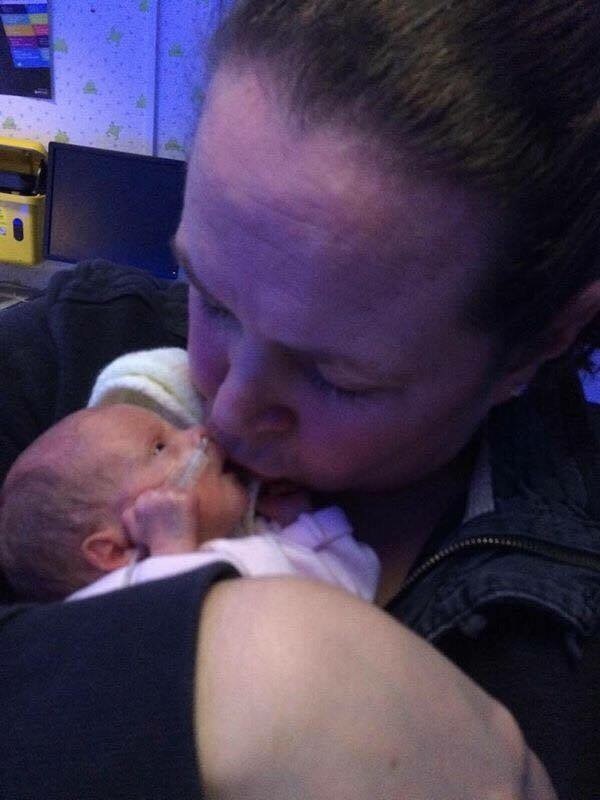 For anyone going through Christmas in NNU, I just want to say celebrate the tiniest of achievements and never doubt how strong you and your baby are. Having a premamture baby has been the most miraculous experience of my life. 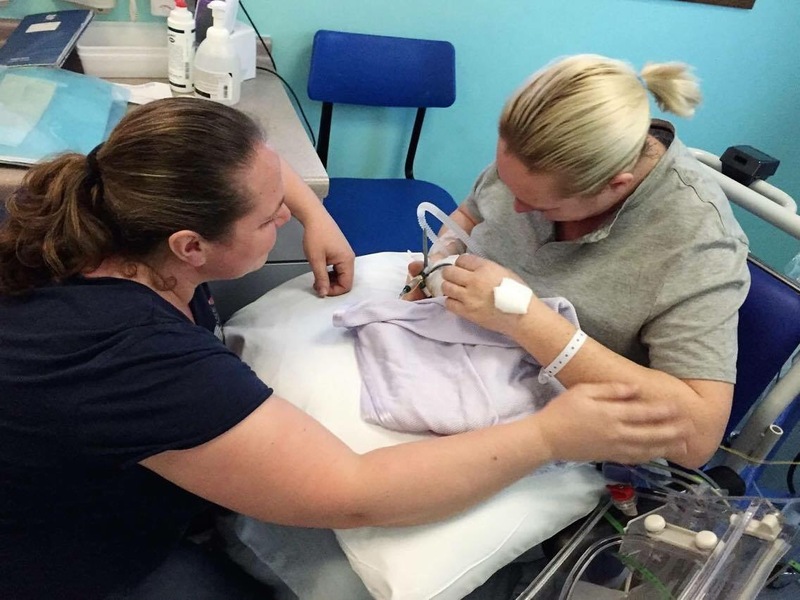 This entry was posted in Guest Blog, NICU, Premature Baby and tagged Neonatal Intensive Care, Premature Baby on December 13, 2016 by Catriona Ogilvy. A Tiny, Little, Early baby! On the 2nd Day of NICU, the hospital gave to me…. 2 Tiny Feet and a Tiny, Little, Early Baby! On the 3rd Day of NICU, the hospital gave to me…. 3 Incubators, 2 Tiny Feet and a Tiny, Little, Early Baby! On the 4th Day of NICU, the hospital gave to me…. 4 Breathing Tubes, 3 Incubators, 2 Tiny Feet and a Tiny, Little, Early Baby! 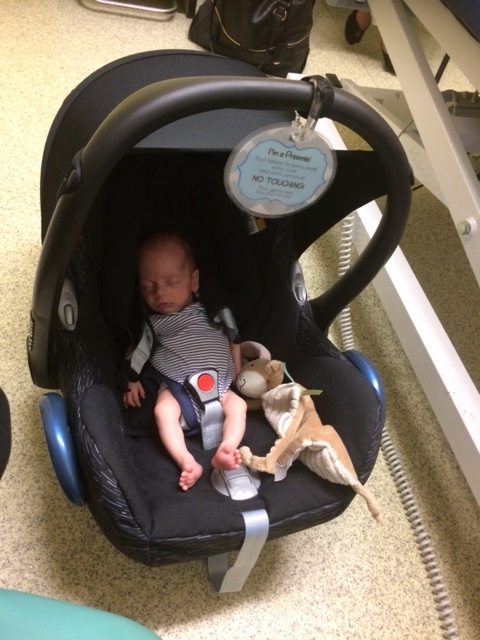 On the 5th Day of NICU, the hospital gave to me…. 5 FIRST HOLDS!!!! 4 Breathing Tubes, 3 Incubators, 2 Tiny Feet and a Tiny, Little, Early Baby! 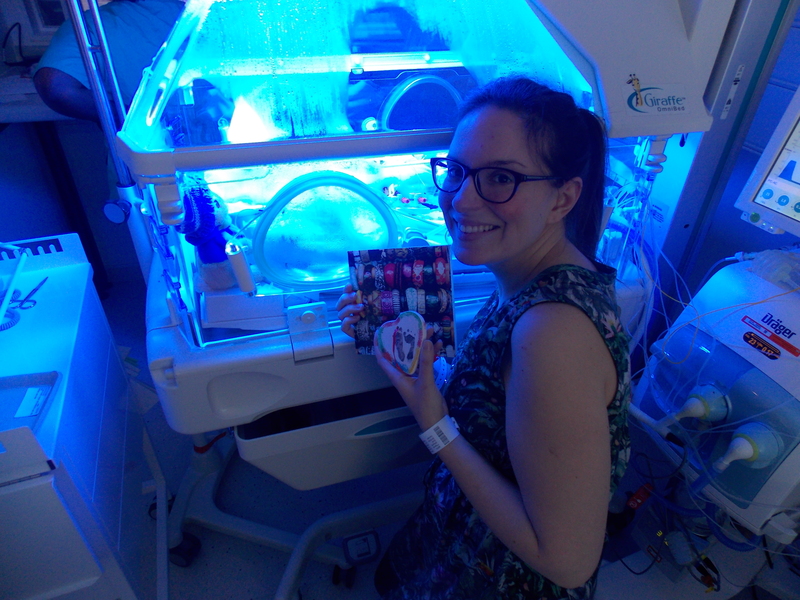 On the 6th Day of NICU, the hospital gave to me…. 6 Jaundice Lights, 5 FIRST HOLDS!!!! 4 Breathing Tubes, 3 Incubators, 2 Tiny Feet and a Tiny, Little, Early Baby! On the 7th Day of NICU, the hospital gave to me…. 7 Kangaroo Cuddles,6 Jaundice Lights, 5 FIRST HOLDS!!!! 4 Breathing Tubes, 3 Incubators, 2 Tiny Feet and a Tiny, Little, Early Baby! On the 8th Day of NICU, the hospital gave to me…. 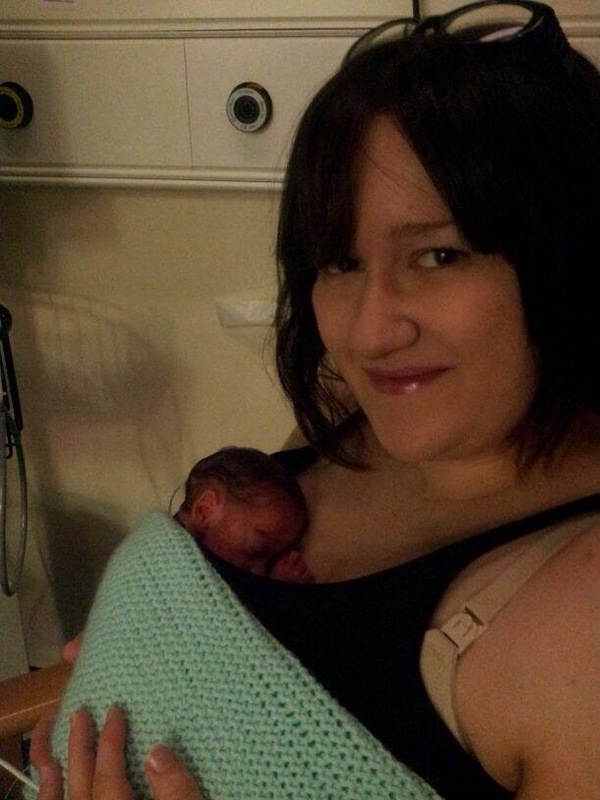 8 Mums Expressing, 7 Kangaroo Cuddles, 6 Jaundice Lights, 5 FIRST HOLDS!!!! 4 Breathing Tubes, 3 Incubators, 2 Tiny Feet and a Tiny, Little, Early Baby! On the 9th Day of NICU, the hospital gave to me…. 9 Monitors Beeping, 8 Mums Expressing, 7 Kangaroo Cuddles, 6 Jaundice Lights, 5 FIRST HOLDS!!!! 4 Breathing Tubes, 3 Incubators, 2 Tiny Feet and a Tiny, Little, Early Baby! 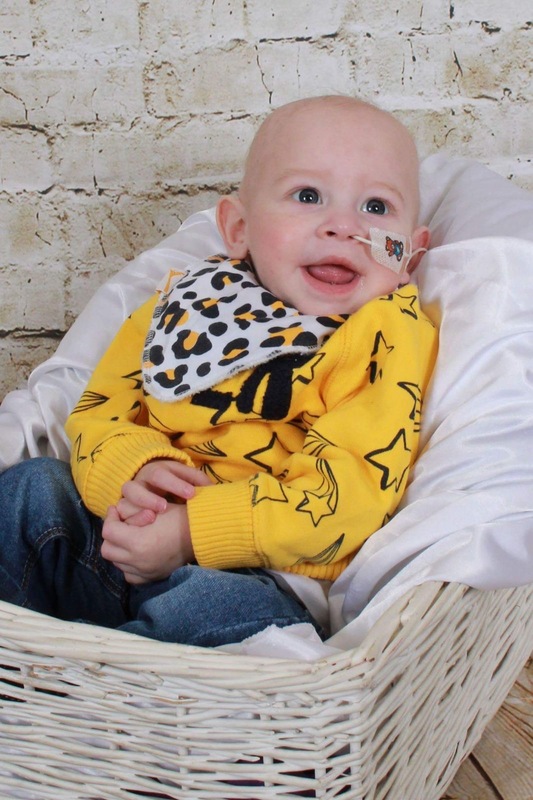 On the 10th Day of NICU, the hospital gave to me…. 10 weeks early, 9 Monitors Beeping, 8 Mums Expressing, 7 Kangaroo Cuddles, 6 Jaundice Lights, 5 FIRST HOLDS!!!! 4 Breathing Tubes, 3 Incubators, 2 Tiny Feet and a Tiny, Little, Early Baby! On the 11th Day of NICU, the hospital gave to me…. 11 NICU Nurses, 10 weeks early, 9 Monitors Beeping, 8 Mums Expressing, 7 Kangaroo Cuddles, 6 Jaundice Lights, 5 FIRST HOLDS!!!! 4 Breathing Tubes, 3 Incubators, 2 Tiny Feet and a Tiny, Little, Early Baby! 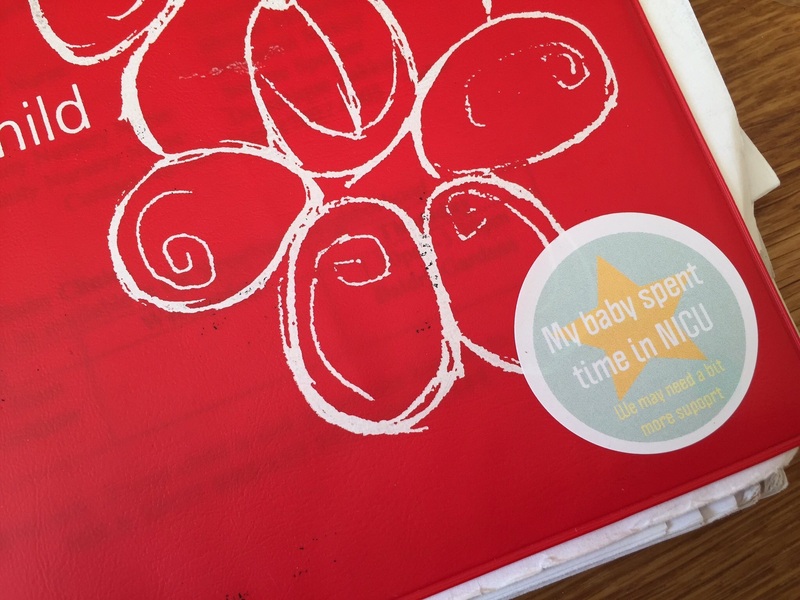 On the 12th Day of NICU, the hospital gave to me…. 12 Micro Nappies, 11 NICU Nurses, 10 weeks early, 9 Monitors Beeping, 8 Mums Expressing, 7 Kangaroo Cuddles, 6 Jaundice Lights, 5 FIRST HOLDS!!! 4 Breathing Tubes, 3 Incubators, 2 Tiny Feet and a Tiny, Little, Early Baby! 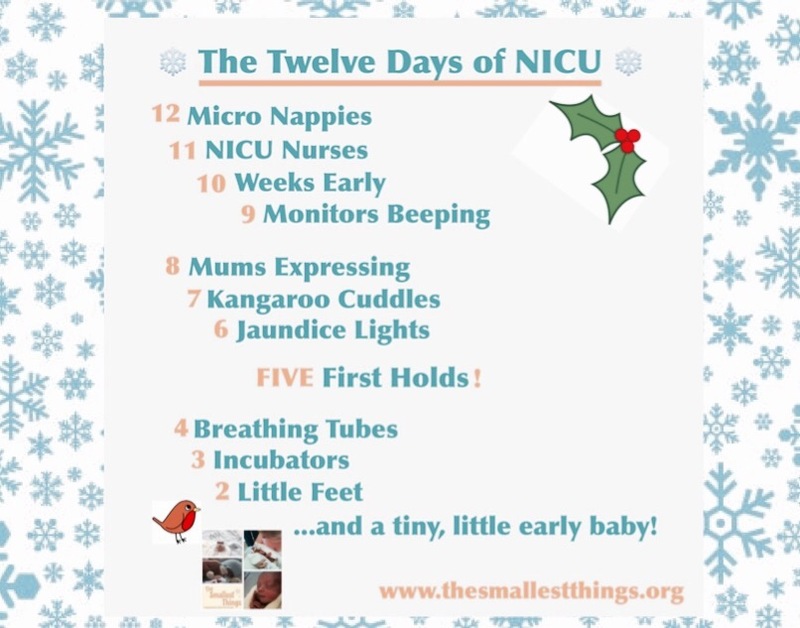 Like our 12 Days of NICU? – Why not use the Facebook and and Twitter buttons to share! This entry was posted in Premature Baby and tagged Neonatal Intensive Care, NICU, Premature Baby on December 11, 2016 by Catriona Ogilvy. Ginette and I both work for the Emergency Service and we would see each other out in the local area whilst at work. I always thought she was a fantastic Police Officer and had the most wonderful smile, but with me working on an Ambulance and both of us working shift patterns it was difficult to ask her out. So four years ago we got together on a works night out and have never been apart since. 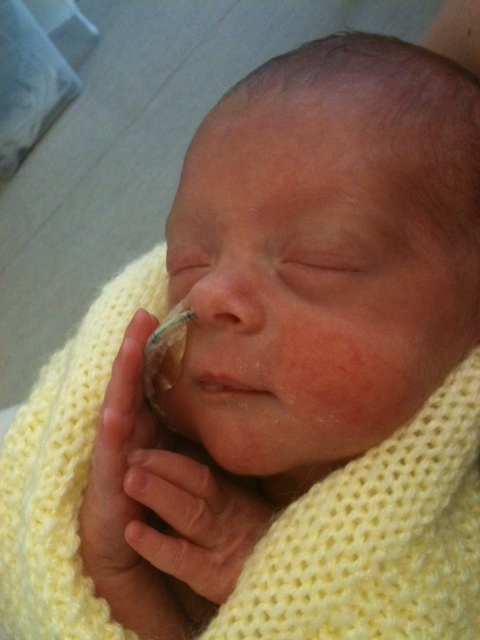 Sophie was born very premature, can you tell us a bit about her early arrival? 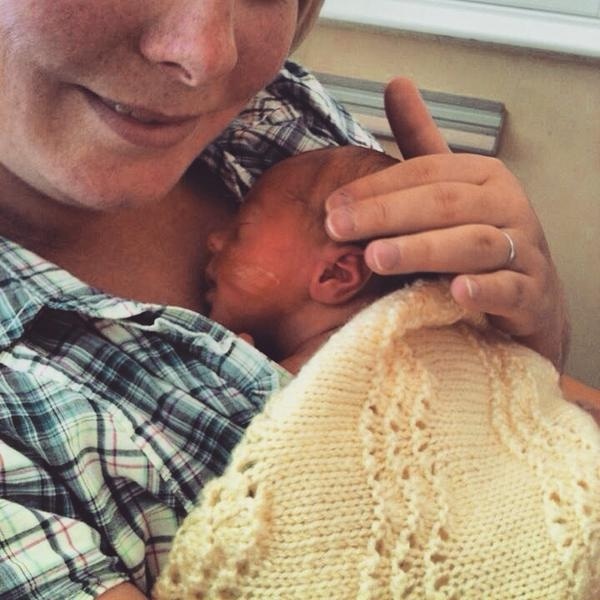 I went for my 28 week midwife appointment but felt poorly and thought I had a chest infection at the time. I almost didn’t go to the appointment due to feeling so ill and lethargic. My blood pressure was taken as well as a urine sample; both registered as concerning. The midwife immediately booked us into the maternity day unit for a review. Within an hour we were whisked upstairs to theatre as I had been diagnosed with pre-eclampsia and told that our baby was coming now. 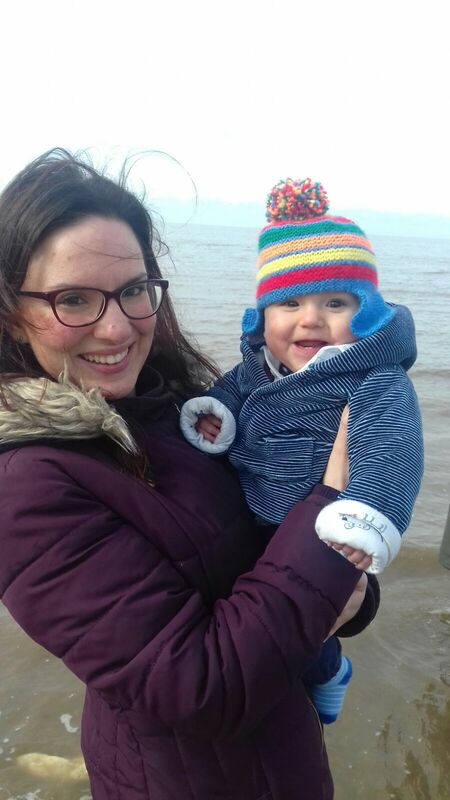 Sophie was born at 16:06 by emergency caesarian section and there wasn’t enough time for steroids due to the severity of my pre-eclampsia and the struggles to manage my blood pressure. 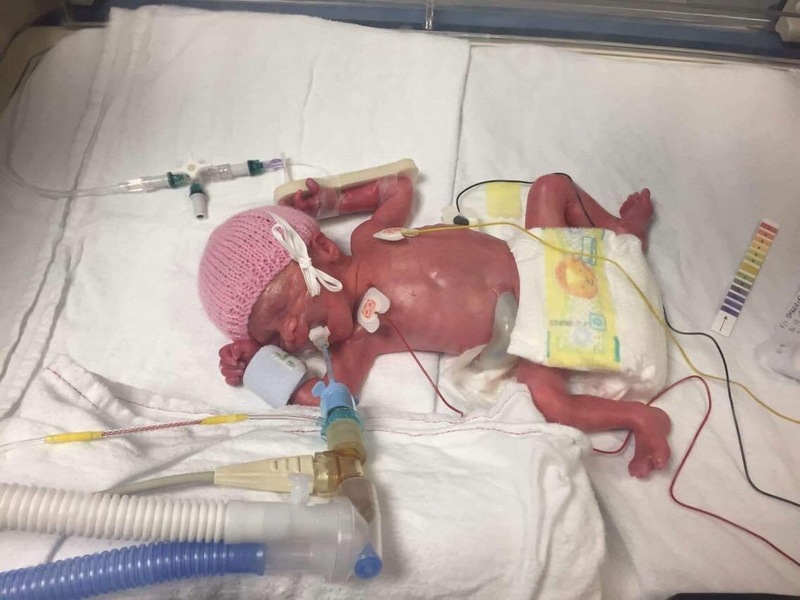 Sophie weighed just 957g at birth, however she cried immediately which was the most reassuring thing in the circumstances. We were able to see her for a few seconds but then she was taken straight to Neonatal Intensive Care where she was extubated 2 hours later. I unfortunately was unable to see her again for the next 36 hours as I was taken to the High Dependency Unit to recover. Ginette was amazing and a rock as she managed to stay strong enough to look after us both. 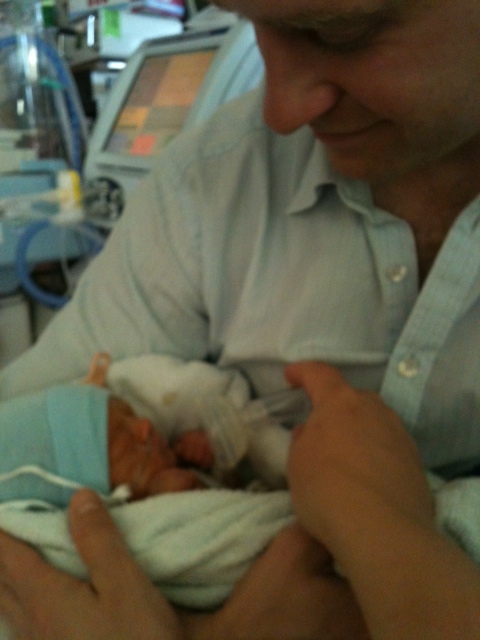 She even waited to allow me to be the first to hold Sophie; staying by our sides until I was well enough to visit her. My parents flew down from Scotland on the 18th December to be with us due to the severity of my illness, how early Sophie had been born and to give Ginette some support. 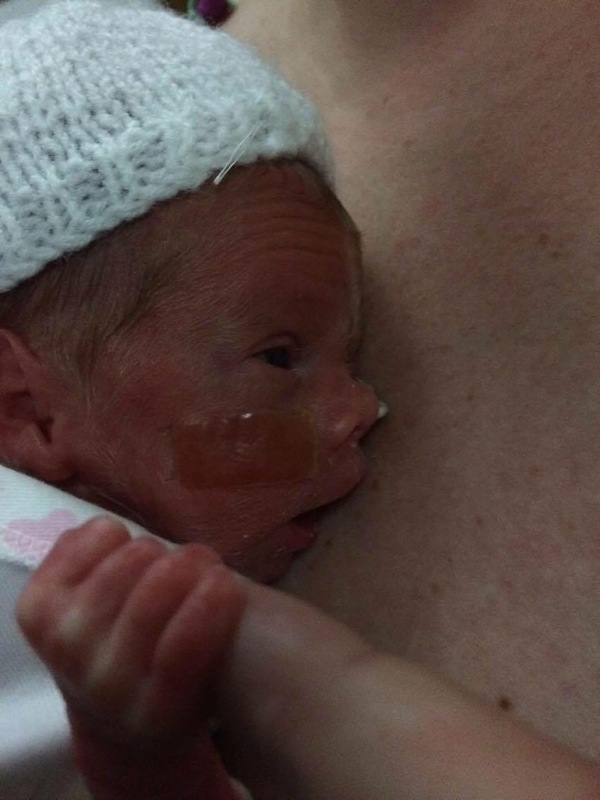 How did seeing Sophie in neonatal care make you feel? 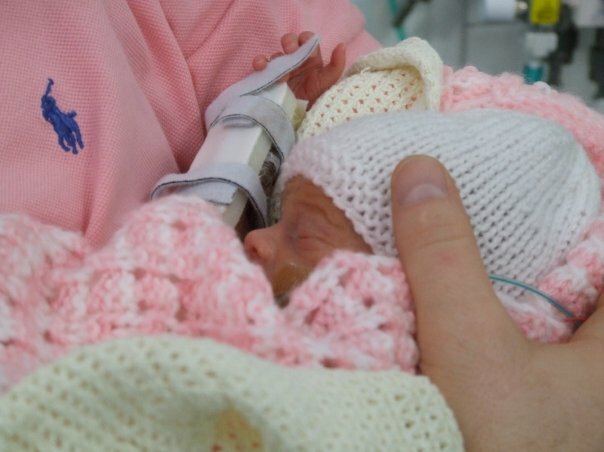 Seeing Sophie in Neonatal Care was terrifying even though with my medical training and background I knew she was lucky to be alive. This same training and knowledge meant I had an increased awareness of everything that could still go wrong. She looked like a tiny baby bird; tubes, wires, alarms beeping, encased in a glass bubble that seemed impenetrable. Every time I saw Sophie, I felt a massive surge of love but it was tinged with a desire to defend and protect her. 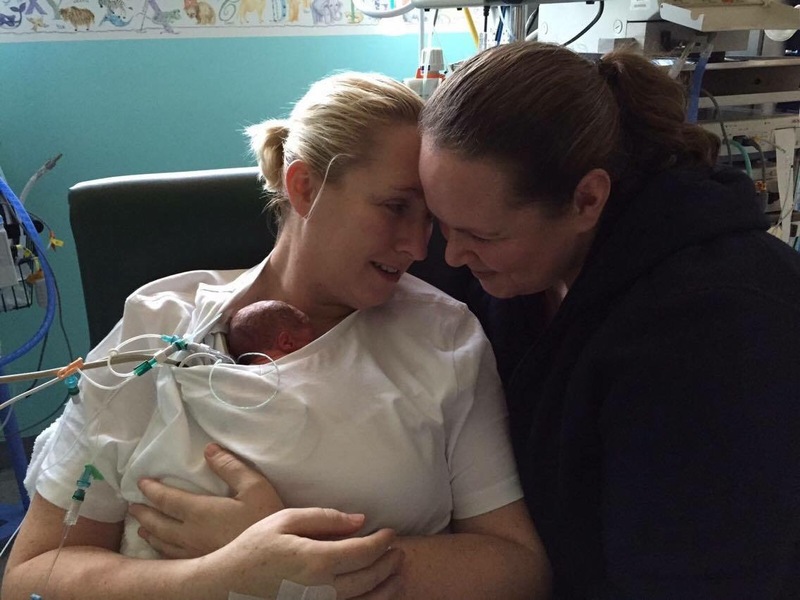 At times I felt as if the medical treatment was a mechanical process and I wanted to be able to cuddle and hold her instead of sitting by the side of her incubator whilst the nurses and doctors had to complete the necessary tests and procedures. 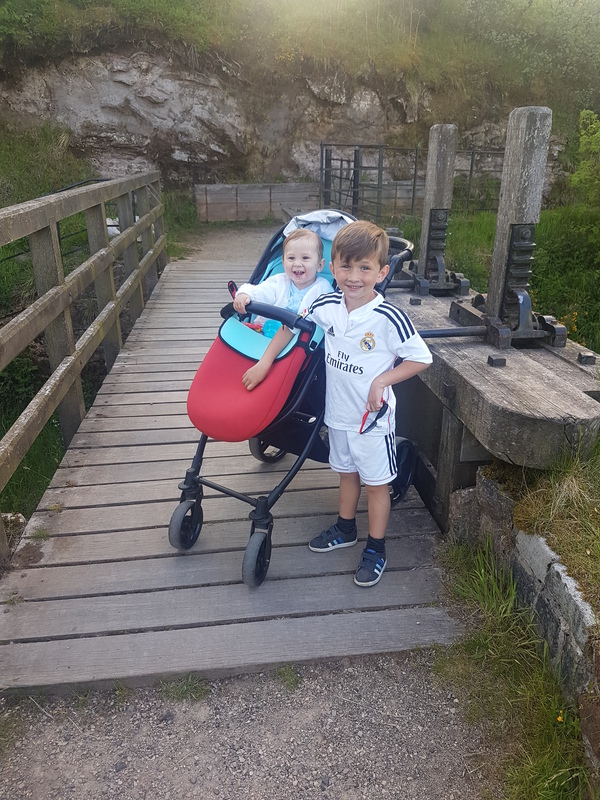 After being discharged from the High Dependency Unit I was placed on the post-natal ward which was isolating and frustrating as all the other mothers had their babies with them. Overhearing babies crying as well as conversations between mothers comparing how small their babies were, when they were 5 or 6lbs. Listening to parents moaning about how little sleep they were getting when I was so desperate to be with my baby, to be able to hear her cry only because she was hungry rather than being in pain. 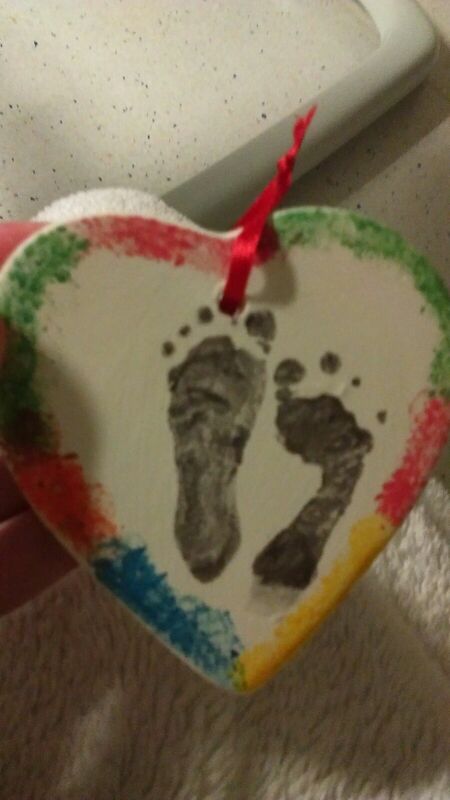 One mother asked about the photo and hand and feet prints that had been taken as she wanted one and I had to explain that she wouldn’t get one as she had her baby with her. She didn’t realize that this was the only connection I had to Sophie at my bedside and I found it terribly difficult to remain calm as this could potentially be one of the only connections if things went wrong. Sophie spent her first Christmas in hospital, what was Christmas Day like on the unit? On Christmas Eve, whilst still on the post-natal unit, carol singers came round to sing for the patients however I found this upsetting and I locked myself in my room so as not to be disturbed. I understood that Christmas was happening for everyone else and I was aware that I had not sent any Christmas cards or bought presents for Ginette or my family due to Sophie’s early arrival however those momentary feelings of guilt were overwhelmed by my concerns and worries and my mind was solely focused on my baby, 3 floors below. Christmas Day on the unit was an interesting event. 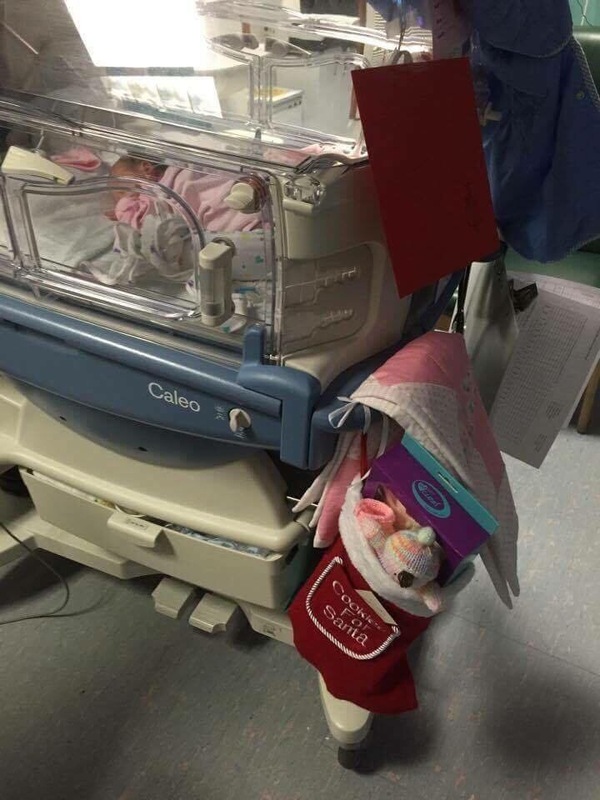 The atmosphere was surreal; there were only 3 babies in the unit one of which was Sophie and when we arrived in the morning, the nurses had decorated the incubators and the rooms with Christmas decorations as well as provided stockings with beautiful clothes and toys for the babies. Their kindness and generosity was wonderful and we were very emotional and grateful. There was Christmas music playing and one of the nurses was wearing a Christmas tree dress. Ginette and I had worn our Christmas jumpers with flashing lights although having our Christmas lunch in the hospital canteen did dampen the spirit. We tried to make the best of it as my parents had left their other grandchildren in Scotland to be with us but the lunch wasn’t very good and being confined to a hospital was depressing. At shift changeover, the atmosphere completely changed. The Christmas music stopped and the atmosphere went back to being more of a medical focus which we found difficult. They did move the baby from the Special Care Unit into our room so it meant that all of the parents were together however it didn’t make it any easier. We were extremely lucky though and received messages of support and love from across the world, wishing us a Merry Christmas from all faiths. 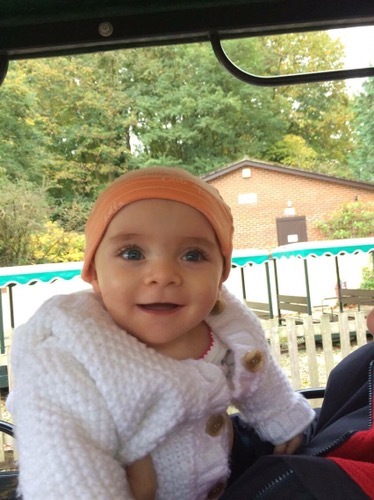 A year later, how is Sophie doing and what are your memories of your time in hospital? Nearly a year on and Sophie is amazing, so healthy and determined. 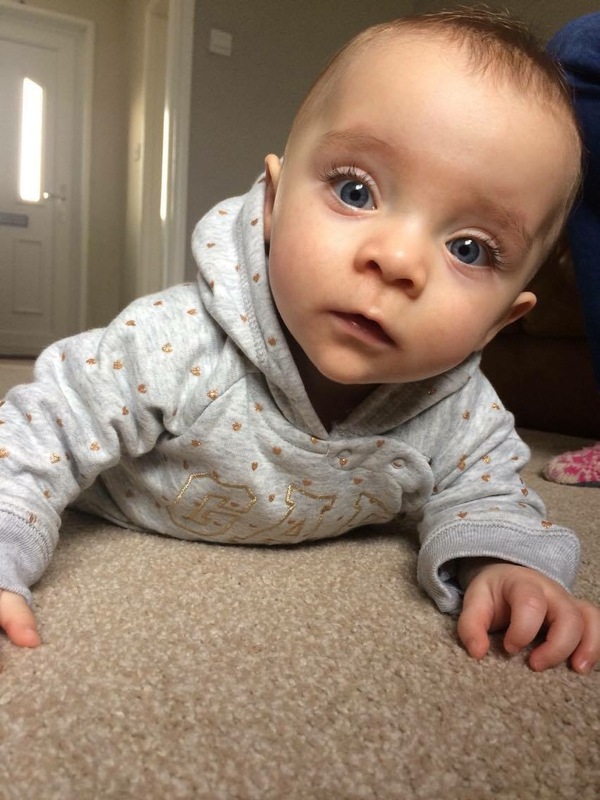 She is trying to crawl, knows what she wants to do and is so clever by clapping and waving at friends. She spends a lot of time with friends that we made on the unit as there are 3 families who were in hospital with us whom we formed close bonds with. Looking at these children, it is sometimes hard to remember they were all born so early however the memories of being in hospital never leave you and every now and again something will jog a specific memory that can leave you almost paralyzed.The memory of leaving Sophie in hospital when Ginette took me home will never leave me nor will the feeling of walking down the corridor from the unit in the evening – it got longer every day. Being woken in the night by an alarm clock to express milk instead of by a crying baby and knowing that you can’t give that milk straight to your baby is indescribable. Leaving our friends behind when Sophie was discharged was really hard; the conflicting feelings of being relieved we were taking her home as well as the fear of finally being solely responsible for her care and the guilt in saying goodbye to the other parents and babies who had to stay behind. I do remember the good times as well; making some of the best friends I’ve had in life, laughing with friends as I pretended to drink breast milk, crying over spilt breast milk after knocking over the bottle that I had spent what seemed like forever expressing, cuddling and singing to Sophie, giving her first bath. Every time we arrived on the unit we would count the babies, making sure our friends were still there although there were plenty of times that the babies had all been moved around. What does your first Christmas at home together mean to you and how will you be spending it? Christmas at home with Sophie and Ginette is a dream come true. I am so excited that our little family will be together and my family from Scotland are all coming down to join us to make a large gathering to celebrate. Thousands of families will be visiting tiny babies in hospital this Christmas – what advice would you give to them? The advice I would give to families is to remember that Christmas is more than a day and to remind extended families to not put additional pressure on parents who need to visit their babies in hospital. Your baby won’t remain tiny for long so treasure every moment as much as you can. And lastly, is there anything else you’d like to add? Our little Sophie Snowflake who is becoming more like a Sophie Snowstorm is more loved each and every day. 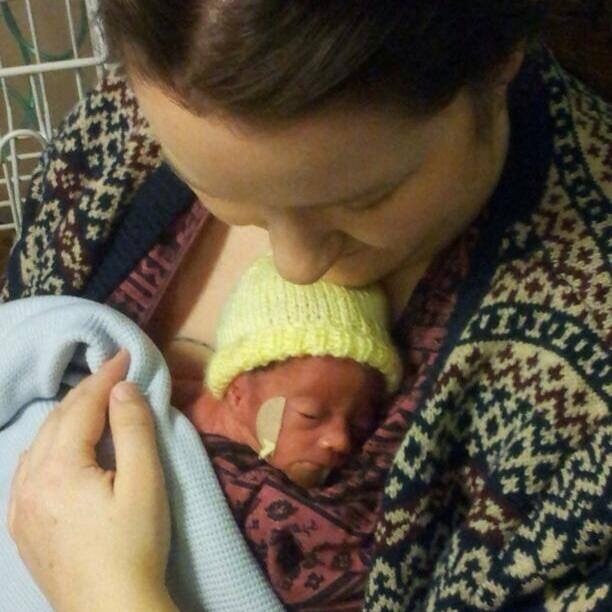 With special thanks to Louise for sharing their NICU Christmas story. 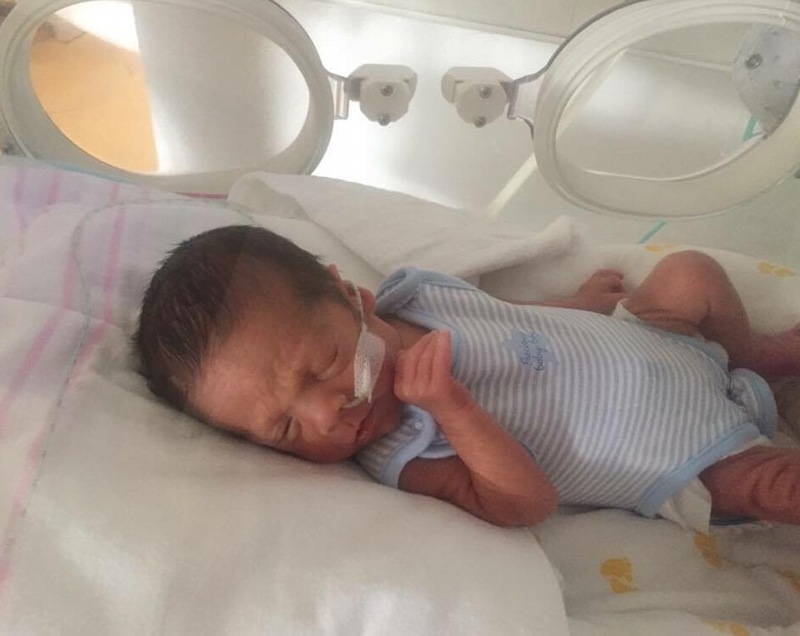 This entry was posted in Guest Blog, Premature Baby and tagged Neonatal Intensive Care, NICU, Premature Baby on December 7, 2016 by Catriona Ogilvy. 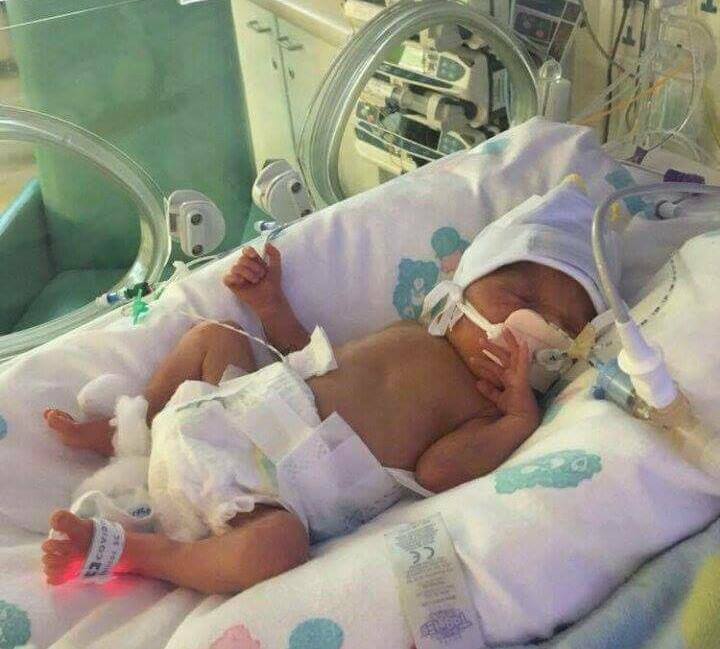 Premature Babies in the News! This week marked the end of World Prematurity Month 2016. 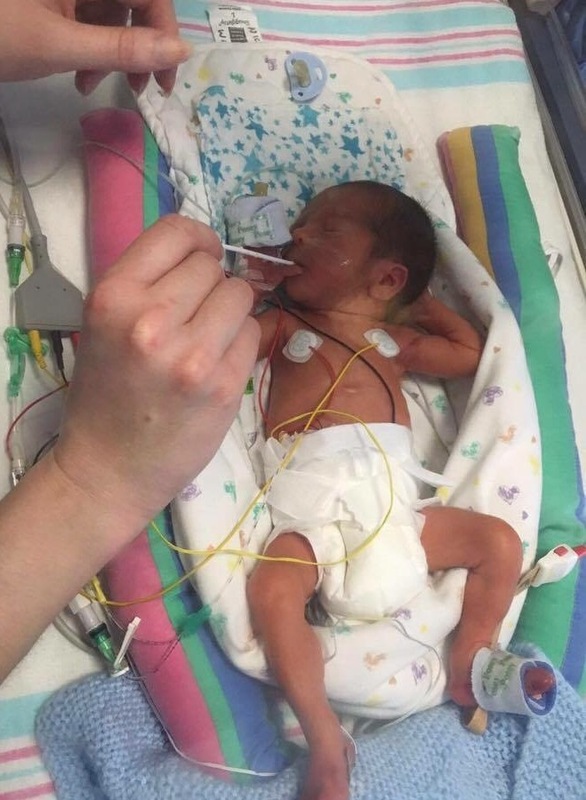 A month where charities, organisations and parents come together to raise awareness of premature birth and it was a bumper month for The Smallest Things! In fact, over the last 8 weeks The Smallest Things and our supporters have rarely been out of the news! 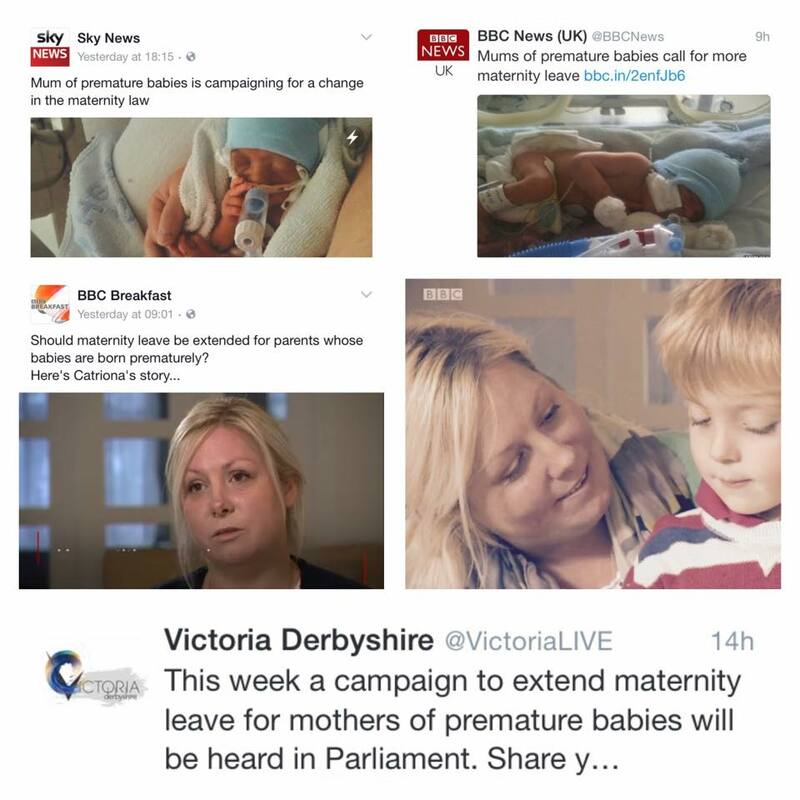 You may have seen Karen Stirrat and her triplets on BBC Breakfast or STV discussing maternity leave. 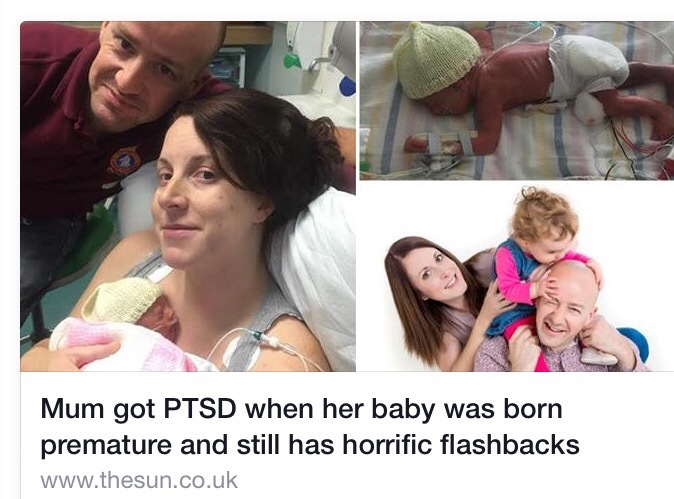 Or Michelle Caton-Richards featured in the Sun speaking bravely about her experiences of PTSD following premature birth. 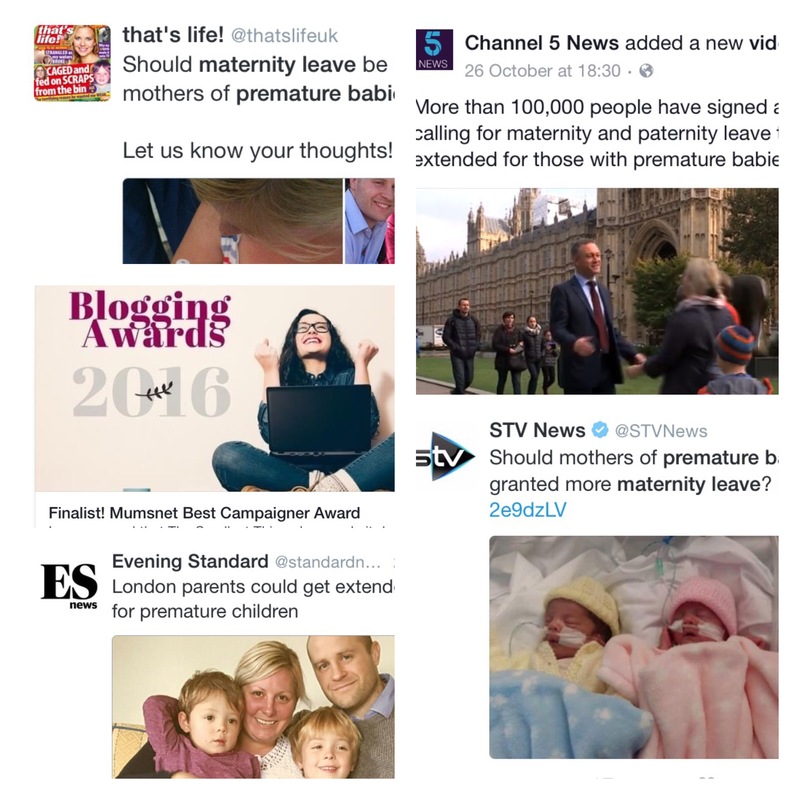 The media interest around the #NotMatLeave campaign has been strong and we were delighted to see the Prematurity Bill receiving cross-party support from MPs when it was introduced to The House of Commons. Ahead of the debate Smallest Things founder Catriona Ogilvy was interviewed by BBC Breakfast, BBC London, Sky News, ITV News and Channel 5 News, coverage which was well received. 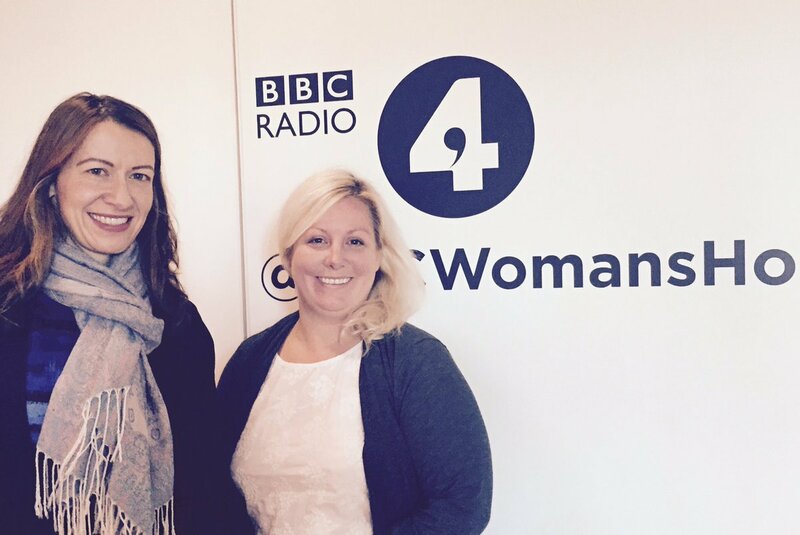 Catriona also spent time on Radio BBC 4’s Womens Hour alongside Bliss CEO Caroline Davey to debate the issue of maternity leave and later discussed premature birth with Vanessa Feltz on BBC Radio London. 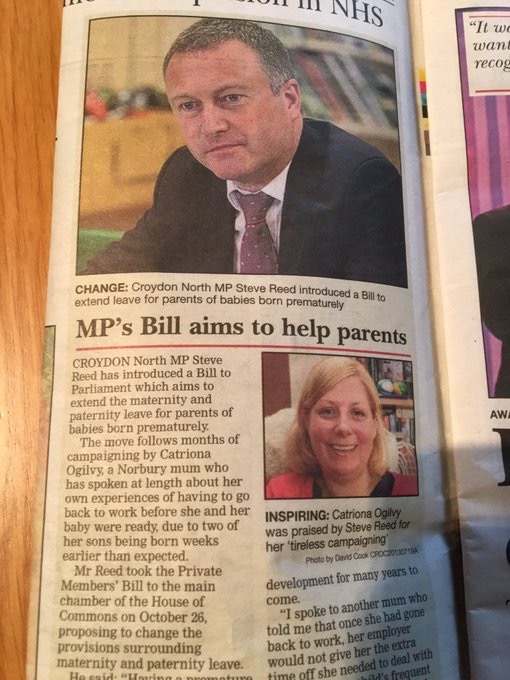 The #NotMatLeave petition, which now has over 125,000 signatures, has also featured in the Evening Standard, The Sun, The Mirror, The Times and The Huffiongton Post – not bad for a campaign entirely run by volunteers! 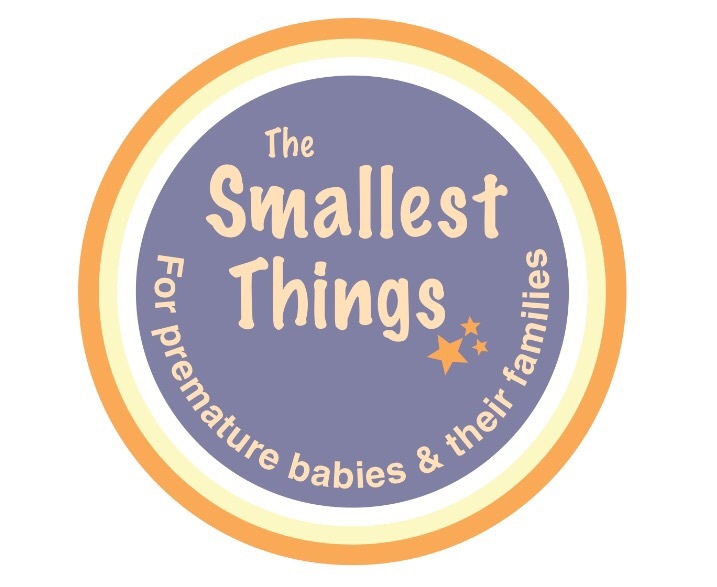 World Prematurity Month may be over for another year, but The Smallest Things are committed to raising awareness 365 days a year – watch this space for more media interest soon! 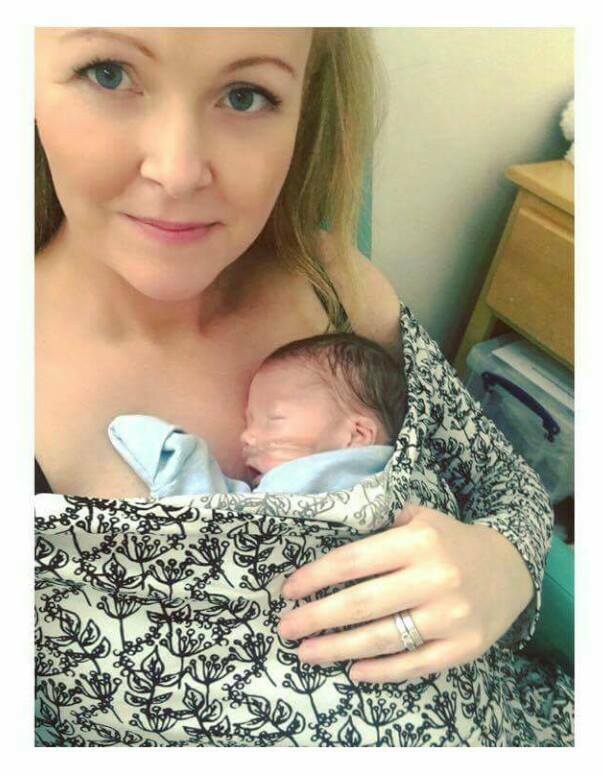 This entry was posted in Premature Baby and tagged #NotMatLeave, Neonatal Intensive Care, Premature Baby on December 4, 2016 by Catriona Ogilvy. This beautiful poem was written and shared with us by NICU dad Paul Lindsey. It’s easy to forget how many times you’ve done this walk. Sometimes too tired to talk. The gentle hum of machinery recycling the air. Don’t look, it’s private stuff in there. Still walking, walking to the room feels like you’ve walked a mile. A tired nurse with a trolley walks past but still she gives a smile. Not far to go, pick up the pace, it’s now two rooms away. The corridor refuses to acknowledge night or day. Now here’s your room, you stop to look, face up against the glass. You always fear the worst right here, heart is beating fast. Open the door, come on, go in, what is it that you fear? You know damn well replies your mind, let’s make that very clear. Breathing deep you steel yourself and walk into the room. The bright monitor displays glow softly in the gloom. And right on cue, I swear they know, the monitor bongs a Brady. Then pulls out all the charts and says how he’s been today. You understand the language, the medical terminology. Of intubation, ventilation of PAPS both B and C.
Hi-Flo, Lo-Flo, Blood gases, and all the rest, you even understand aspirates and the endercolitis test. You watch the gently sleeping shape of the miracle that is yours. The tiny fingers grip the wires that are threaded through the doors. The monitor it bongs again, you no longer jump as much. It won’t do it for ever, he’s getting better you tell your mind as such. Transfusions, blood tests, checks and scans. You await the day, to steal away your miracle and be gone. Now anyone who’s reading this will understand my every word. Of this journey we’ve all had to take and how it must be heard. How the strength of all our miracles is something to behold. The fortitude, the fighting spirit of a premmie three days old. The stress, the worry, in the end turns everyones hearts glad. 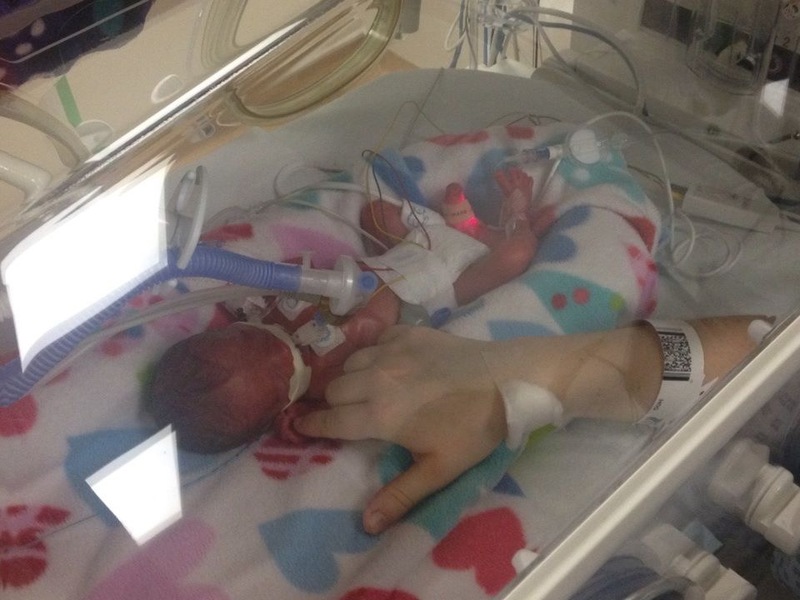 This entry was posted in Dads do NICU, Guest Blog, NICU, Premature Baby and tagged Dads do NICU, Neonatal Intensive Care, NICU, Premature Baby on November 23, 2016 by Catriona Ogilvy. 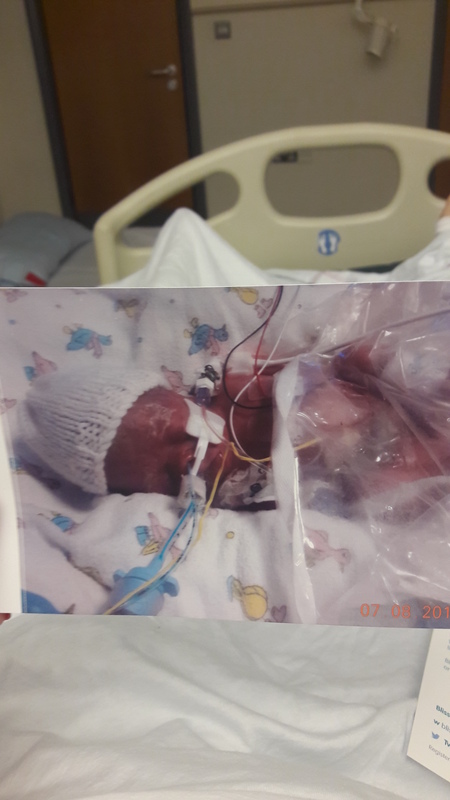 My son Joshua was born at 28 weeks, on Mother’s Day this year. It was a complete surprise! I had been suffering with pains a few days before but was assured that this was just Braxton Hicks. Then in the early hours of the morning of 6th March I woke up bleeding heavily. We raced to the hospital with just my maternity notes and were told I was already 3cm dilated and that the baby would be born very soon. I had suffered a placental abruption. 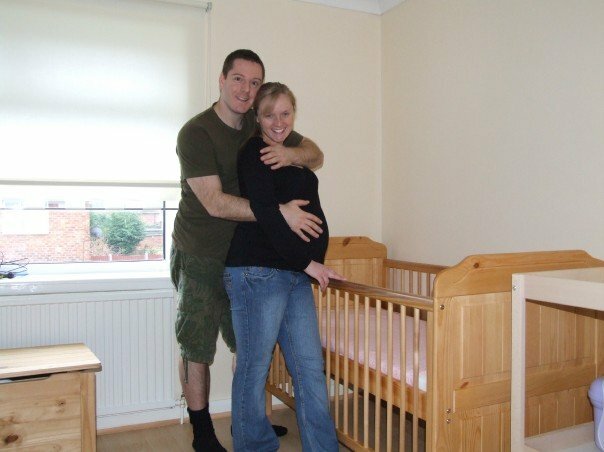 My husband and I could not believe it and I was in complete denial, truly believing I would surely be sent home soon and told to rest. But sure enough, 5 hours later he came. He weight 3 pounds. I had been given steroids to help his lungs develop but given the speed of delivery there was not much time for them to take effect. 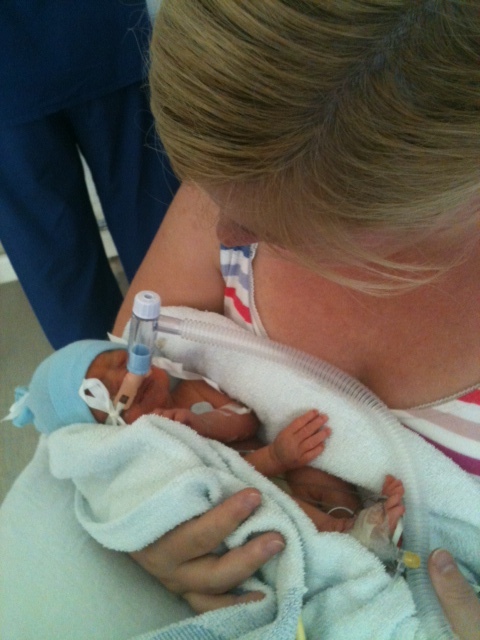 Joshua had to be resuscitated at birth as his lungs were so under developed. The transport team arrived very quickly to take him to a higher tier hospital and there begun a 7 week stay in hospital for us. The first 24 hours were probably the hardest. No one was willing or able to give us any assurance that Joshua would be ok. I felt incredibly guilty and stupid that I had not realised anything was wrong sooner. I tortured myself by going over every detail of the week before, trying to pin point a cause. I couldn’t accept that it was not my fault in some way. We also just didn’t know what to expect. Thankfully his first brain scan was clear and when they took him off the ventilator he was able to breath by himself with some high flow. He had a heart murmur but we were assured this would most likely close by itself. Finally we felt able to hope for a good outcome. We started to feel very lucky. After 4 days we could finally hold him, it was magical. 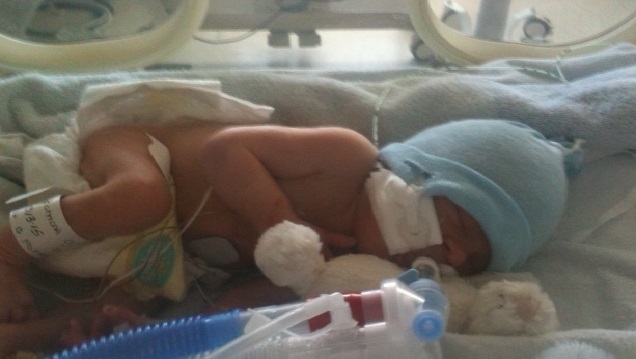 Joshua did very well during his time in NICU. 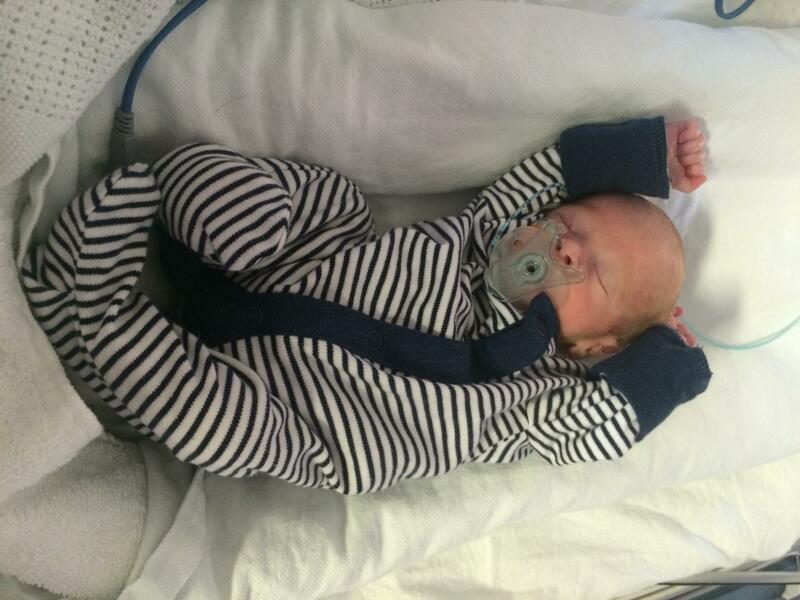 He was even breathing in air by the time he got moved to SCBU. However, it was in SCBU that the usual bradicardia episodes and Apnea really begun. Some days his alarm would go off every 20 minutes. It really felt like he was going backwards. He was put back into oxygen and for a while it felt like every day it was turned up another notch and I couldn’t see an end to it. His weight was increasing and he had reached the hospital discharge guidelines of 35 weeks but he was still oxygen dependant. We were told he may go home on oxygen. I had been expressing milk for him and I wanted to breastfeed him when I got home. This was a challenge! Trying to convince a tiny baby who had been tube fed for 7 weeks to work for their food felt like an impossible task and it nearly broke me emotionally. However, with determination, perseverance and the help of an excellent SCBU nurse, who dedicated most of her entire shift to helping me, he finally started feeding. I was able to feed him for 7 months when I got home, until he decided food was far more exciting! Thankfully, during the last week of our stay, Joshua decided he was not going to go home on oxygen and just stopped having Apnea’s one day. We were told this could happen, I just never imagined it actually would. Again, we felt so lucky and relieved. We had a great outcome with Joshua. Much better than we ever imagined at the start. He is a happy little 8 month old baby now, enjoying baby sensory, baby yoga and play groups. The first winter is hitting us hard. He is in about his 11th virus already. However, he never lets this get him down and always has a cheeky smile on his face. All of the staff in the 3 hospitals were exceptional. We had stays in st Peter’s Chertsy, William Harvey Ashford and QEQM Margate. They encouraged us to get involved with Joshua’s care as much as possible and this is what got us through the experience. In the first 24 hours I felt like a spare part – I didn’t think there was anything I could do for him and I was scared to get too attached. 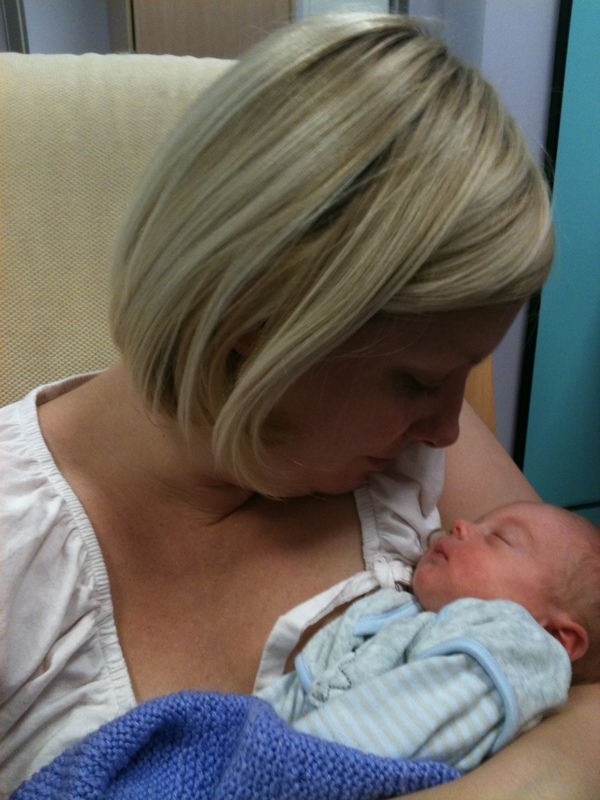 When I did start expressing milk, changing nappies, top and tailing and kangaroo care, I really felt like a mum to Joshua and that I was helping him in some way. A nurse told me during one of my most down days that I know my baby better than any doctor or nurse and that I can help by being his advocate and his voice. This was one of the best pieces of advice I have ever been given. 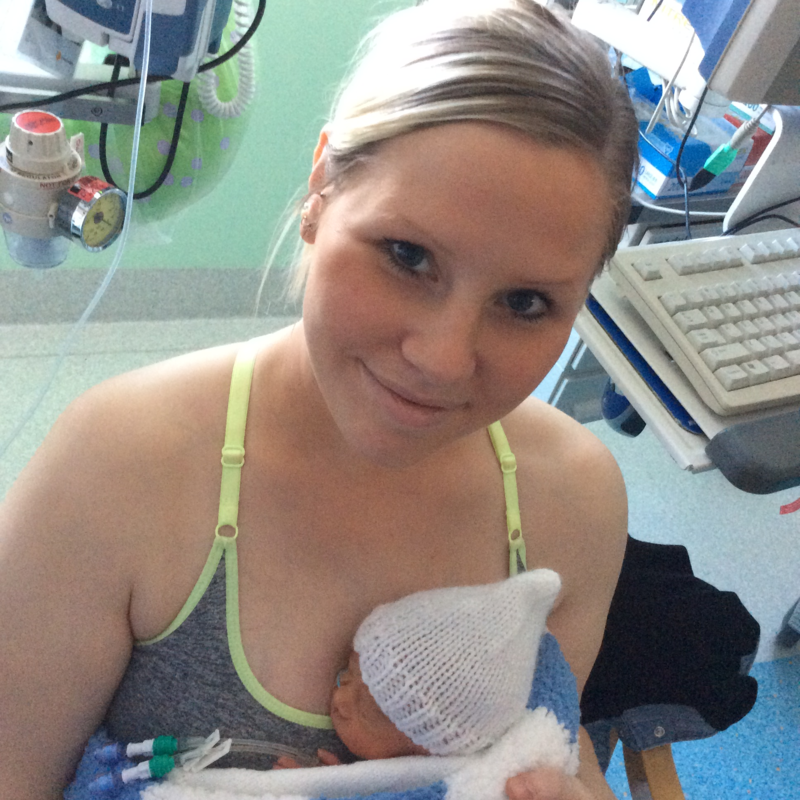 With thanks to Louise for sharing her story of premature birth – a true NICU ride of ups and downs! Like what you’ve read? 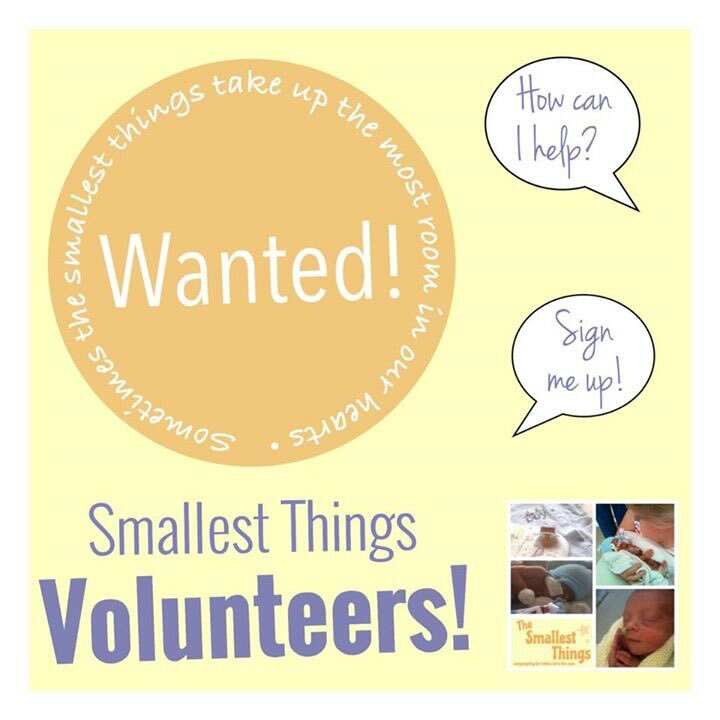 Would like to help us raise awareness of neonatal care and beyond? Then Please Share via the Facebook and Twitter links! 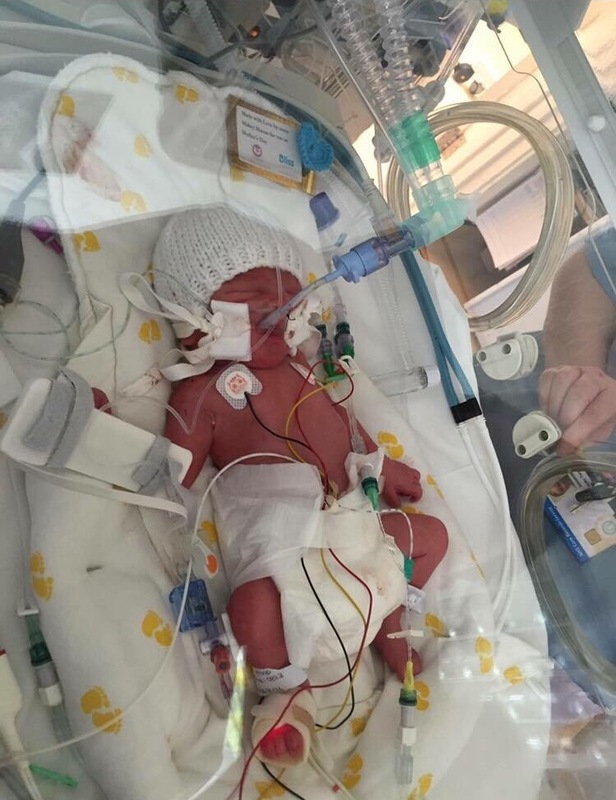 This entry was posted in Guest Blog, NICU, Premature Baby, SCBU, Uncategorized and tagged Neonatal Intensive Care, NICU, Premature Baby on November 21, 2016 by Catriona Ogilvy. At our baby boys 20 week scan we got the shattering news that our unborn baby had a Congenital Diaphramic hernia (CDH) which came with a devastating 50/50 chance of survival. I remember just seeing my wife Joni’s face; absolutely heartbroken and gutted. 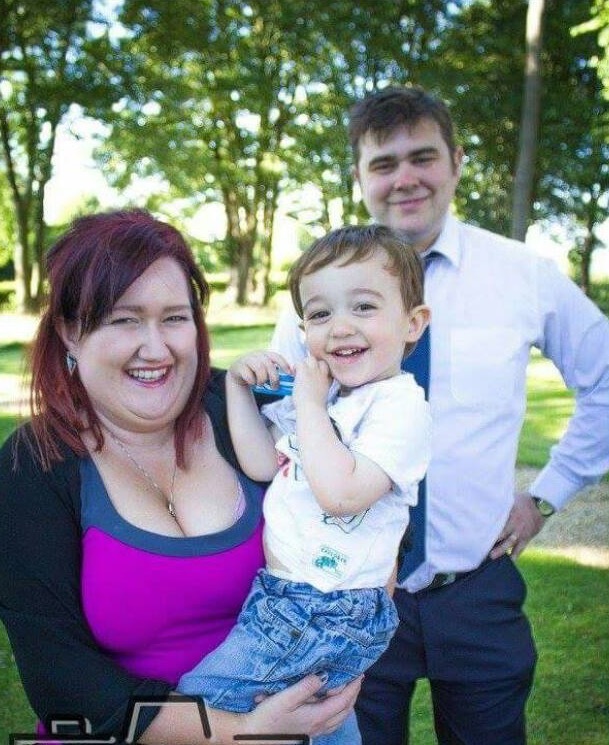 We have another son, Lucas, who was 4 at the time with which Joni had a fantastic pregnancy. I managed to convince Joni enjoy the rest of her pregnancy the way she did with our first born, and she did. I honestly believe if she wasn’t as strong as she had been then Davis wouldn’t be here today. 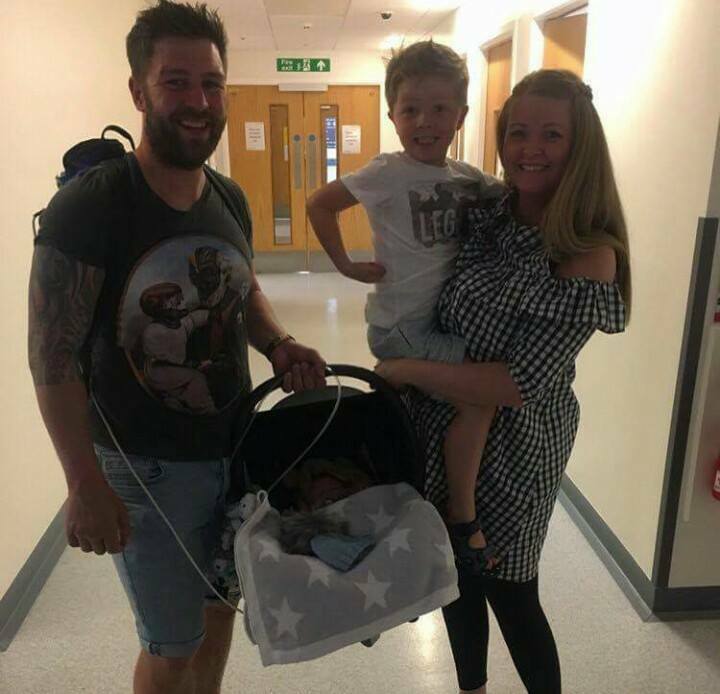 The day Davis was born should have been one of the happiest days of our lives, but instead we had to watch our baby boy be whisked away to the side whilst he was intubated and paralysed. 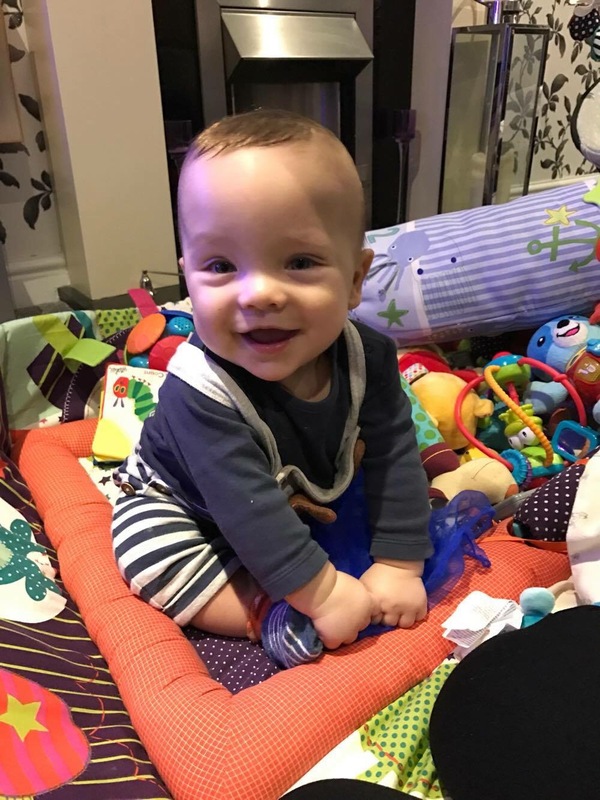 After nearly 45 minutes of tears and agonising uncertainty, the 15 strong team of doctors, nurses and surgeons finally stabilised him enough to move him to the neonatal intensive care unit (NICU). 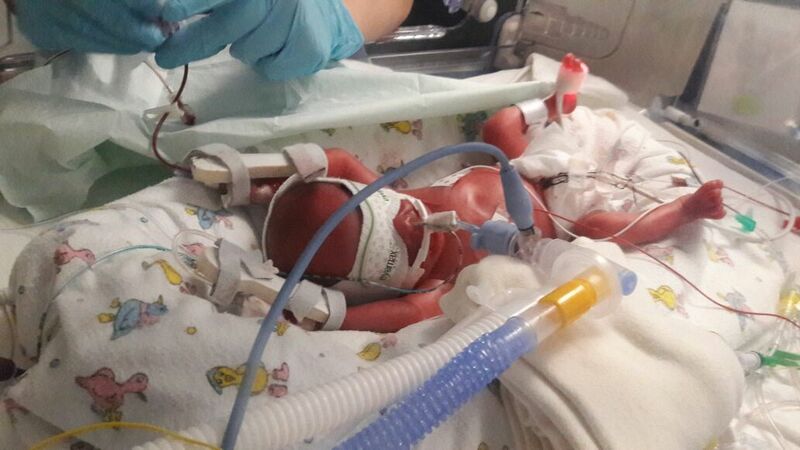 Once on NICU Davis’ battle had only just begun. 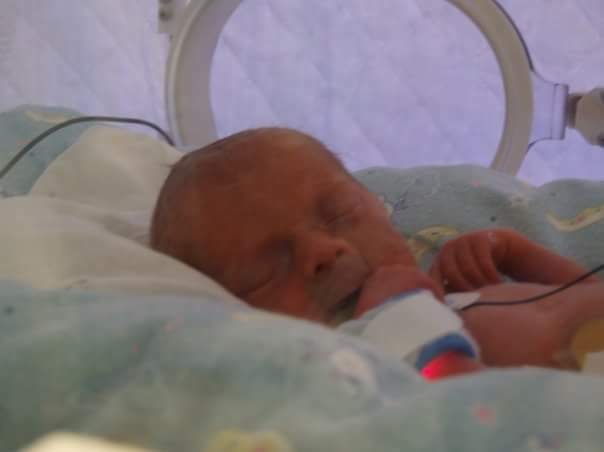 He had survived birth, but his condition was critical and he was being assessed minute to minute. I can’t recall how many times we had to watch helplessly as our baby boy nearly died time and time again. 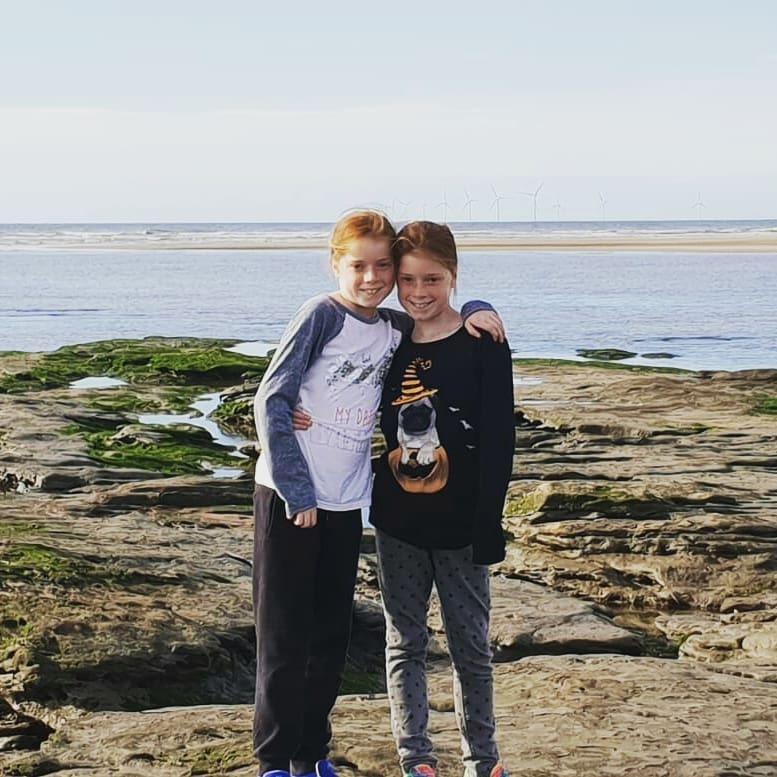 He had only been in our lives for 12 hours when we got the dreaded news he wasn’t going to make it, not unless he went onto a machine called an ECMO – a heart and lung bypass machine – which required surgery to install into his main artery and vein. 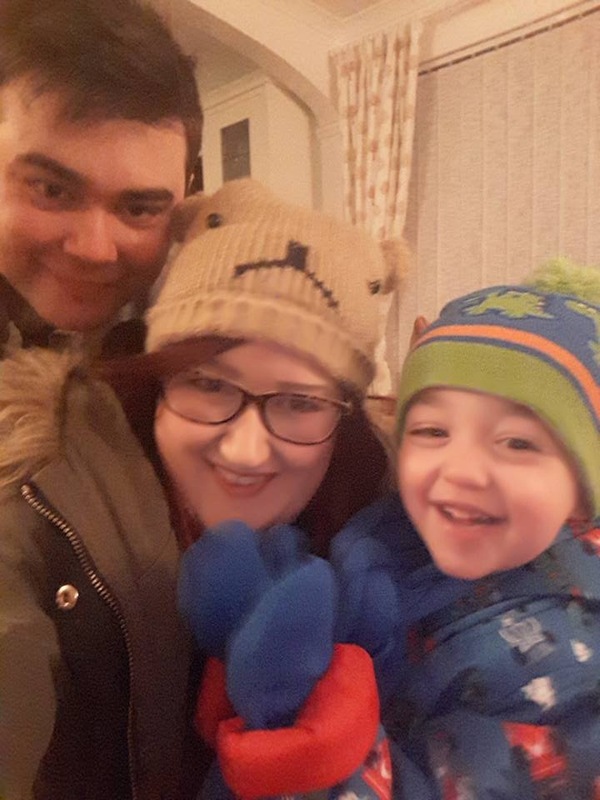 Whilst on ECMO though the problems kept coming and we watched as he overcame internal bleeding and fluid in his body resulting in chest drains and 2 ECMO circuit changes (more agonising surgery). 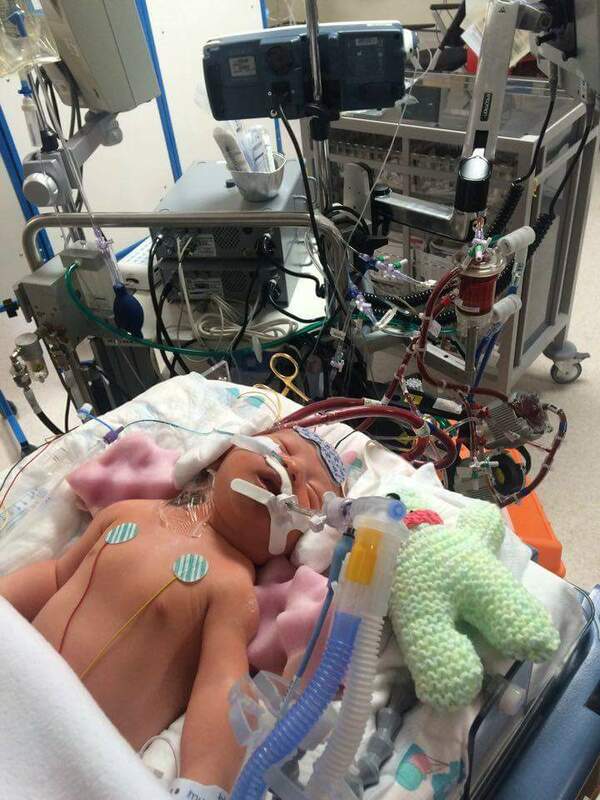 The longest you can stay on ECMO is 3 weeks, so after 2 weeks they decided to trial Davis off it. To our anguish he didn’t cope. We were gutted. I always asked the doctors and nurses about a million questions a day and knew exactly what all the screens, monitors and numbers meant and where he should have been. That was my way of dealing with it. The nurses and doctors were second to none, but their faces that day said a thousand words when Davis trial off ECMO failed. They didn’t think he would make it as his odds of survival had now been slashed considerably. Davis wasn’t finished though and he started to turn a corner. His stats looked slightly better, not great but maybe enough to have the strength to come off ECMO successfully, and perhaps strong enough to have the lifesaving surgery needed to repair his diaphragm and to move his organs out his chest cavity where they had grown in the womb, and in doing so had pushed his heart to the side and had stopped one of his lungs from growing. 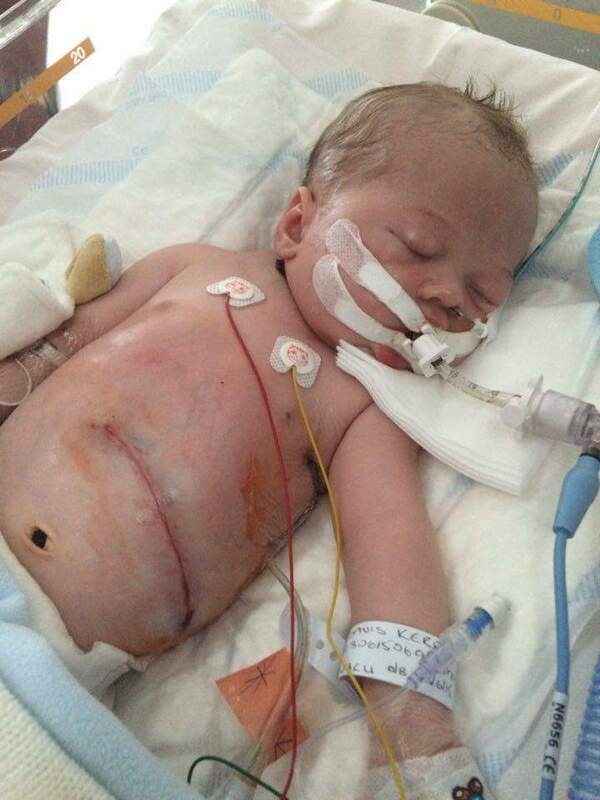 Davis came off ECMO and received his surgery, with which came more fatality risks. It took surgeons 3 attempts to repair his diaphragm and by now 4 weeks had passed and Davis was still in his induced coma. At this point in our journey Davis should have started to recover, but instead of hope and repair he had punctured his good lung. I thought he was a goner this time. I thought how can he possibly take any more? But he did, recovering from his punctured lung he was then wiped out by an infection that would have floored a grown man. Our baby boy was strong. After everything that has been thrown at him he started to go from strength to strength and after 8 weeks we finally got to hold our boy. I can’t begin to say how we felt. It was so emotional. After that the medical team began to reduce his meds to bring him out his induced coma. It was a nervous wait as he had never opened his eyes before and the sense of sight may cause stress resulting in another punctured lung. For once he reacted well and we saw our baby boys eyes for the first time in nearly 3 months! 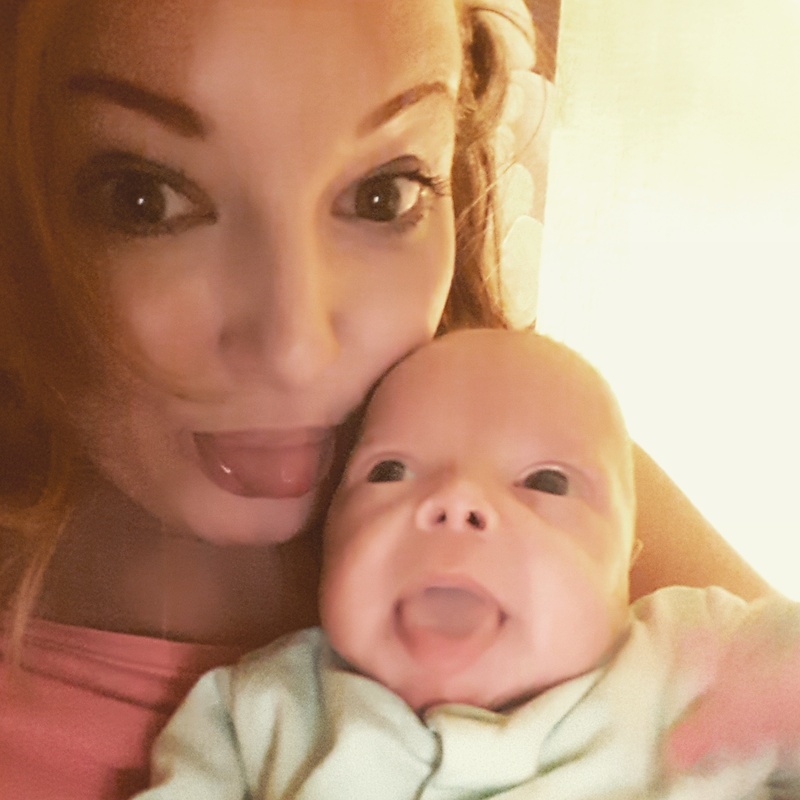 Five and a half long months in the NICU saw us stuck in a bubble where you forget that there is an outside world. We were very fortunate to have had and have met so many wonderful and strong people and babies. The nurses and doctors don’t get enough credit for what they do in there. They make you feel welcome, safe and treat you like a human being. 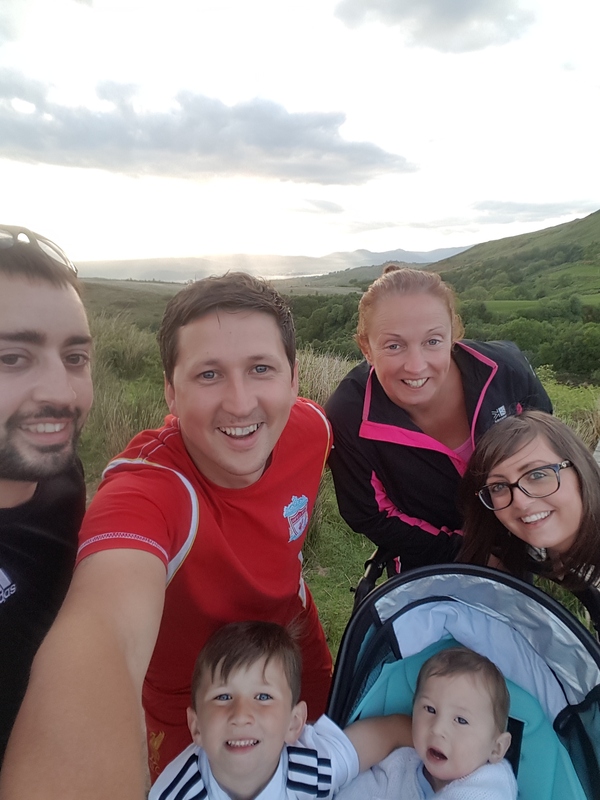 Mel, Martin, Mark, Lisa, Laura, Jason, Paige, Ross, Jacqueline and John are just some of the now close friends that we had the honour of sharing the NICU bubble with. I am so thankful to Billie and Fran (Joni’s parents) who stood by us every single day and gave us so much help and support. But I would never have got through this horrible time without my 2 rocks my wife Joni Kerr and my superstar son Lucas Kerr. You are my world now. 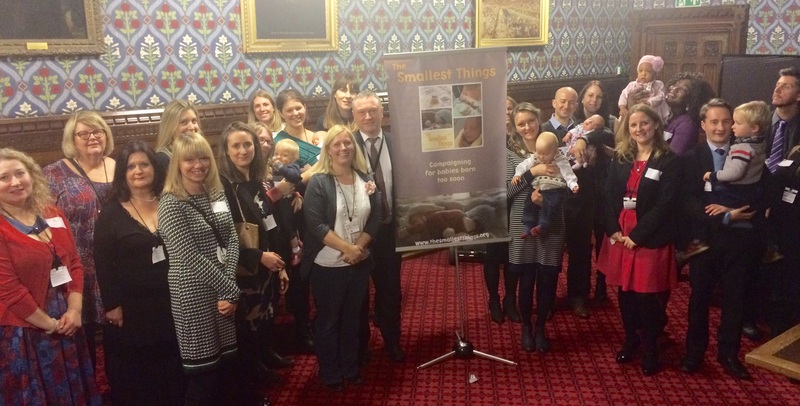 With thanks to Alex Kerr for sharing his story through neonatal intensive care. 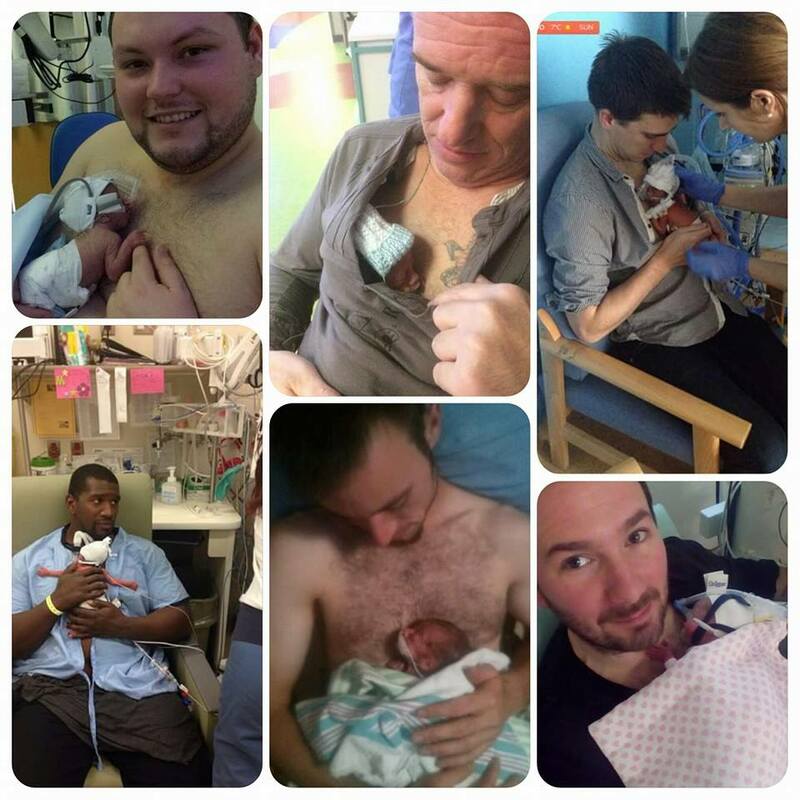 This entry was posted in Dads do NICU, Guest Blog, NICU and tagged CDH, Dads do NICU, DadsDoNICU, ECMO, Neonatal Intensive Care, NICU on June 17, 2016 by Catriona Ogilvy.